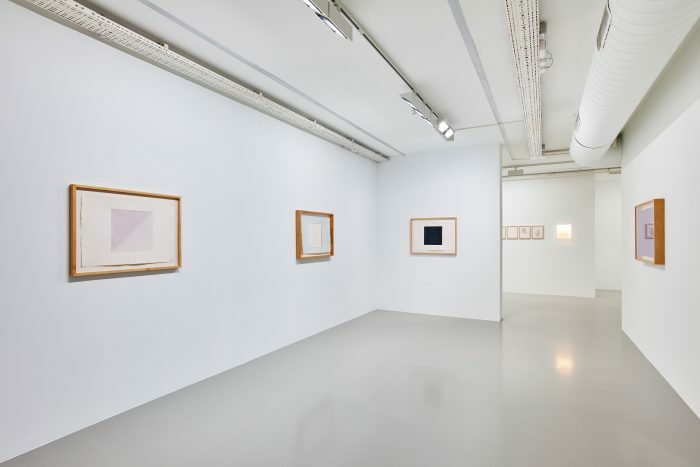 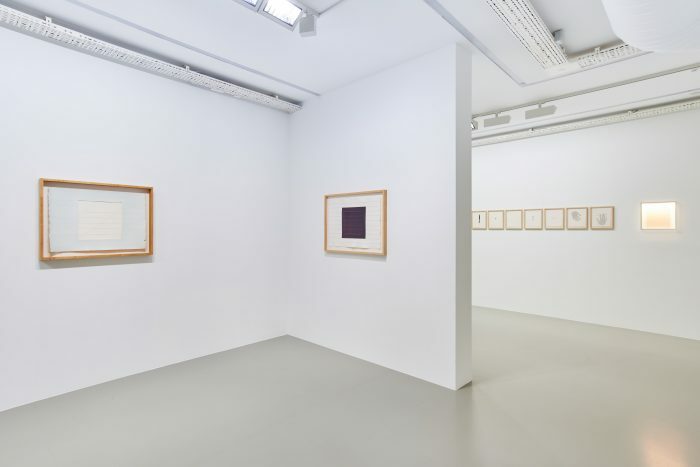 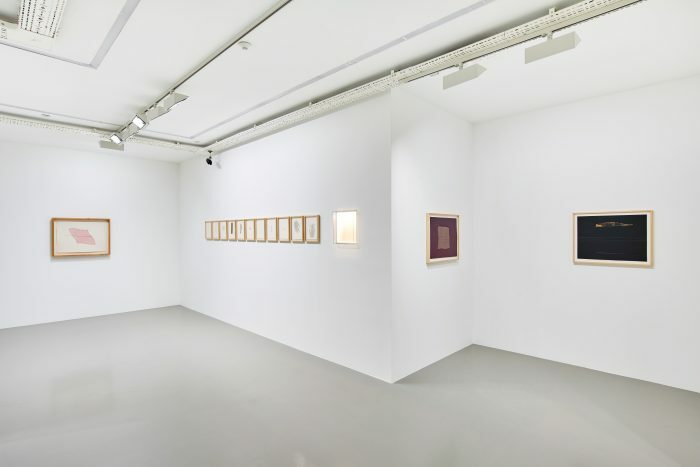 The works in “Words, Numbers, Lines” centre upon Bilge Friedlaender’s rigorous investigation of created forms such as “line” and “square” as expressions of the relationship between humans and nature. 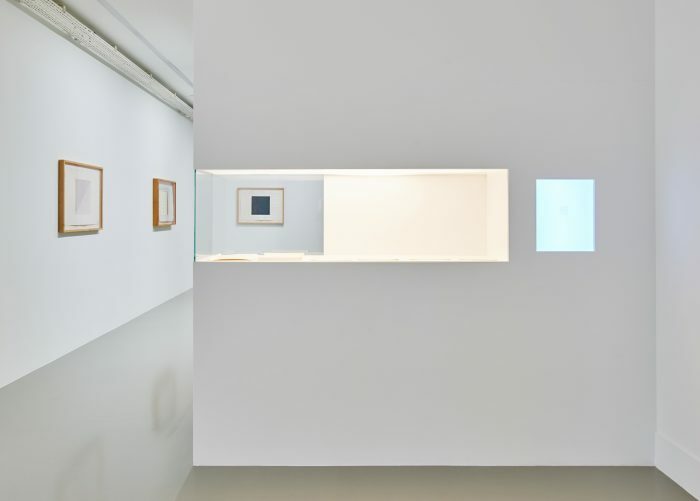 The exhibition focuses on a specific period (1971-1983) of Friedlaender’s production, researching the infinite possibilities of a line, a torn line, and a square that defies gravity. 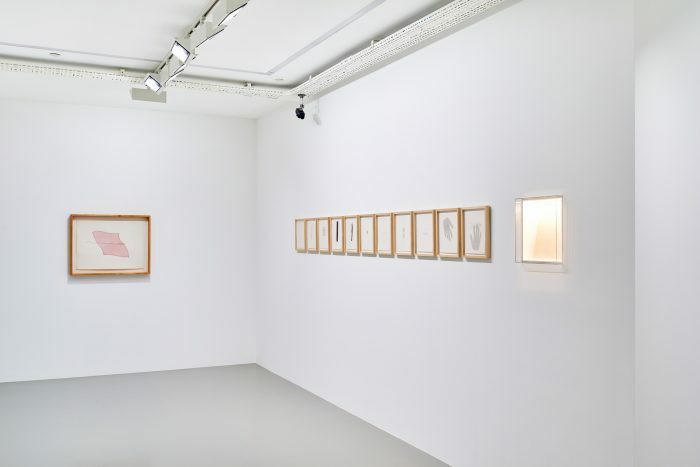 She produced expansive yet intimate material for investigation. 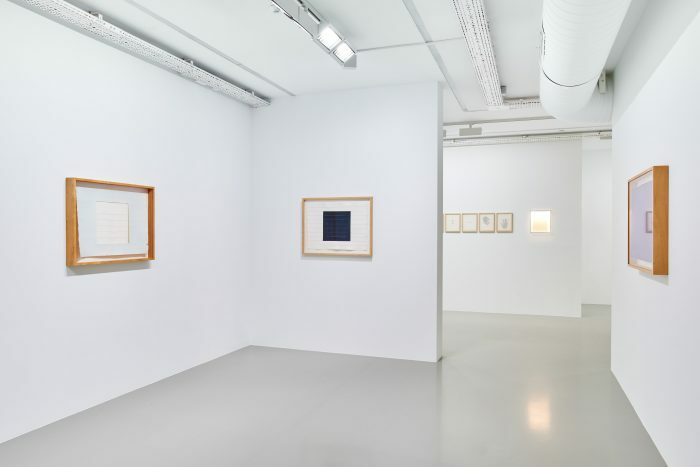 During this decade, even though she did not identify herself as a minimalist, Friedlaender develops a modest visual language utilising rather simple materials and meticulously continues her almost experimental search. 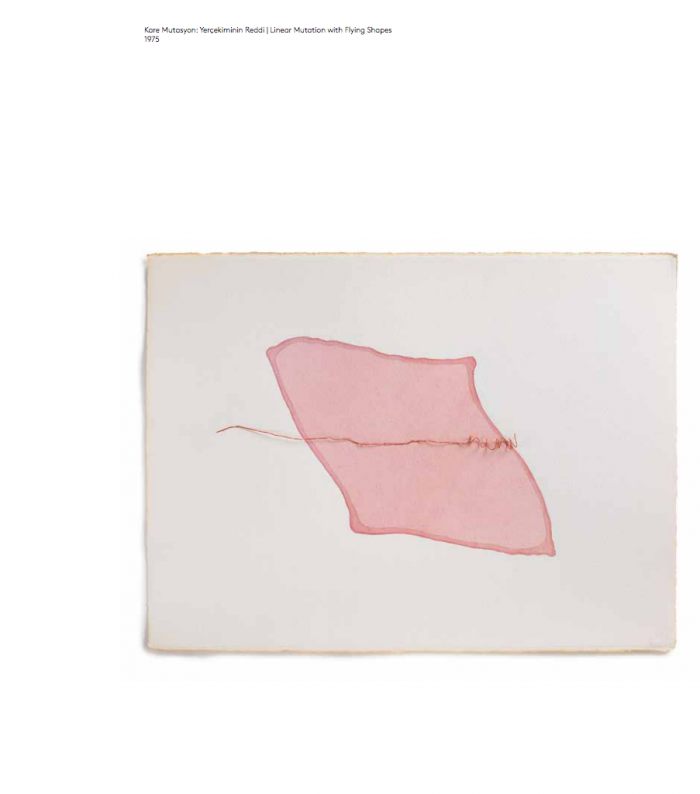 She was in constant dialogue with her own work through her writing, questioning herself, and asking philosophical questions that remain compelling, and grant us access to her ideas. 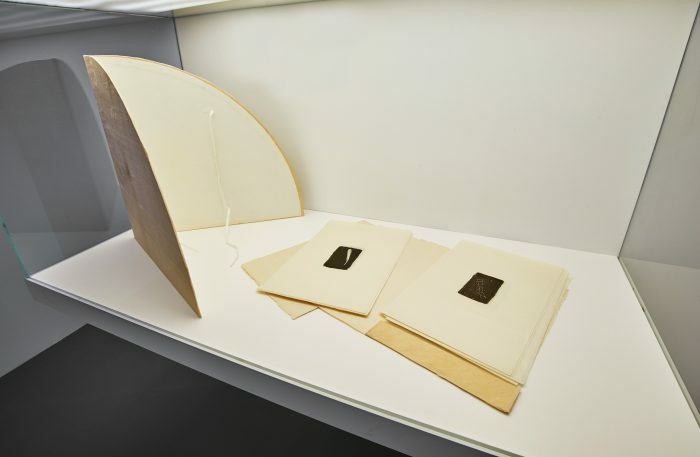 Engaging with the universal experiences of gravity, horizon, and perceptions of duality, Friedlaender created a body of work that is even more relevant today. 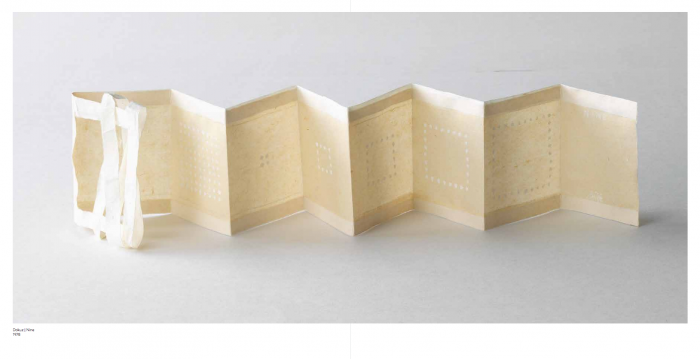 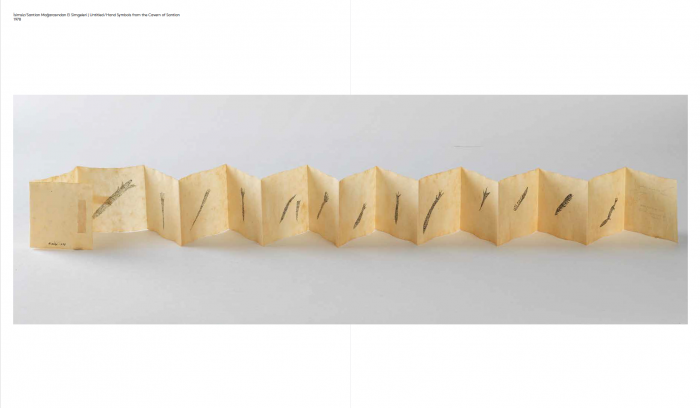 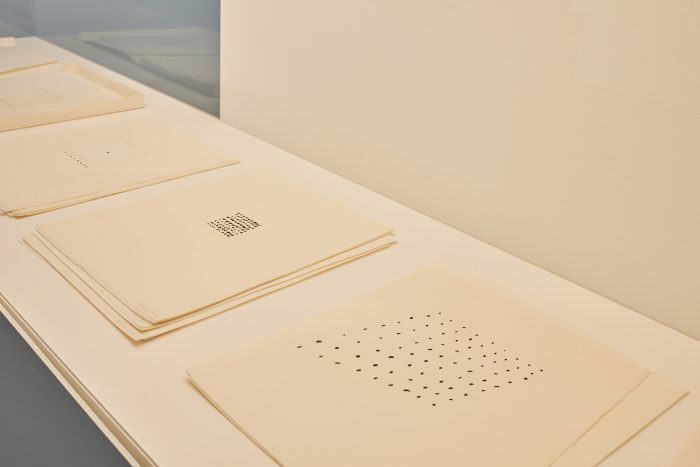 The artists’ book “WORDS / NUMBERS / LINES” (1977) lends the exhibition its title. 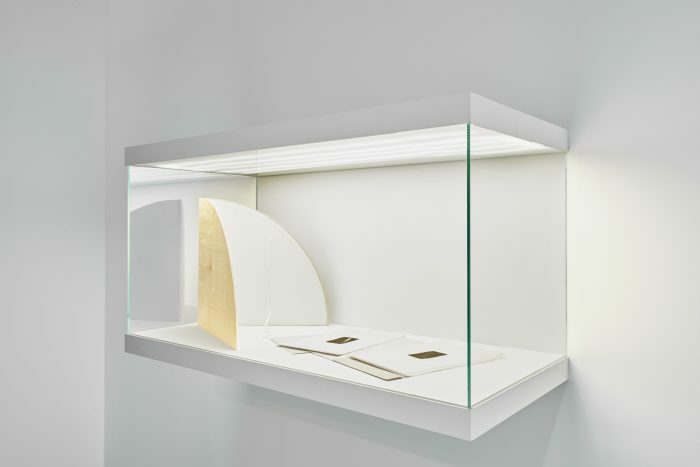 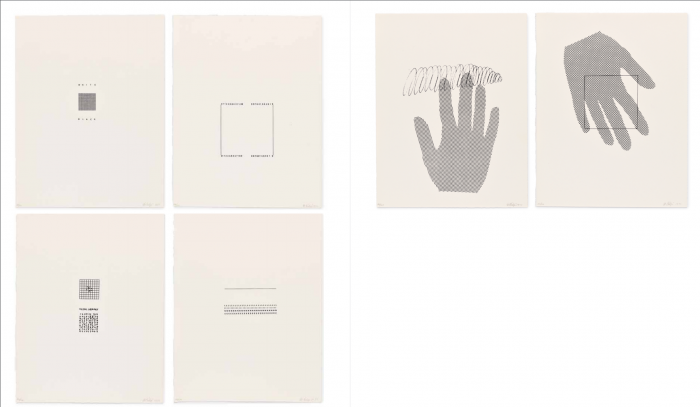 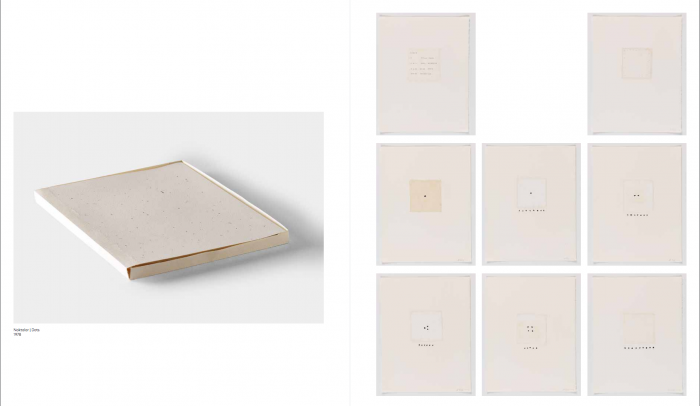 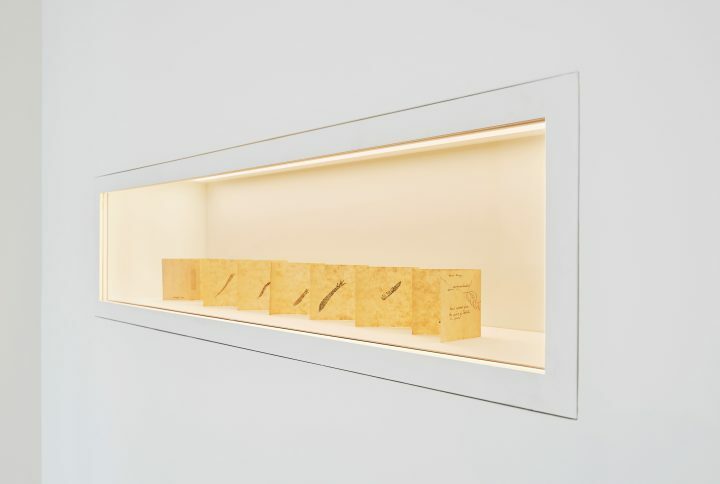 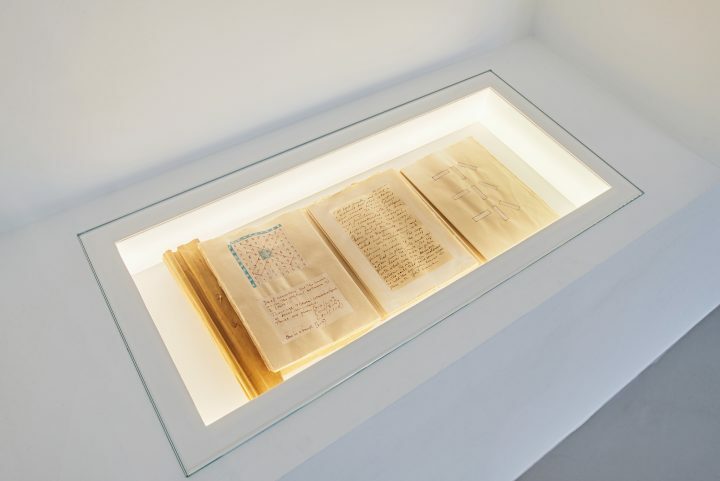 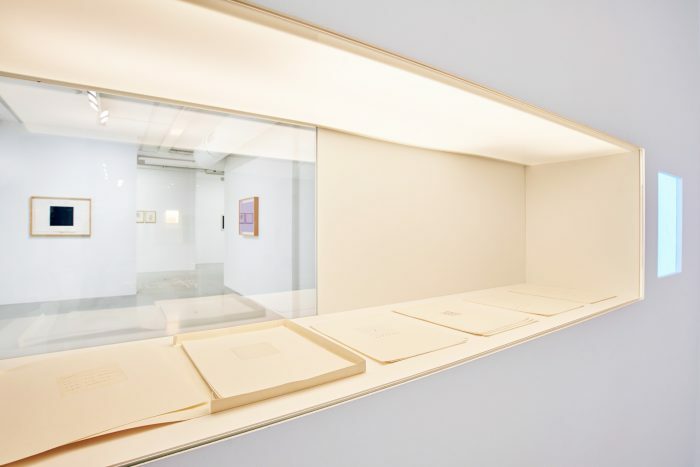 The work is not only the first artists’ book that Friedlaender created as a space for her artistic vocabulary, but also a critique of oversized museum spaces and overly ambitious exhibition practices. 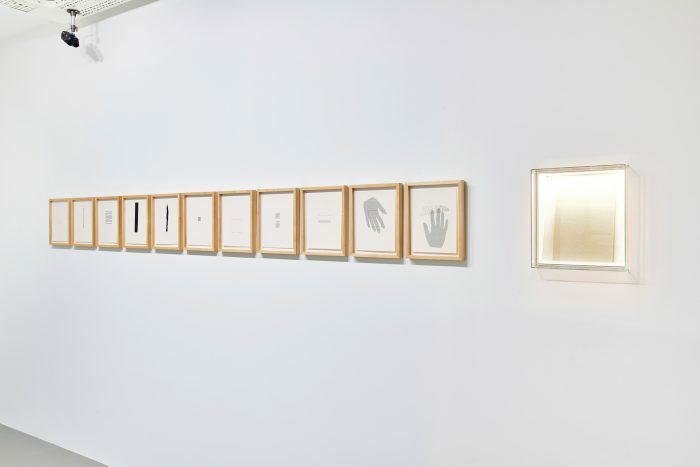 It is a significant expression of the artist’s work at the time, and it encapsulates many of the concepts that she explored deeply throughout her life. 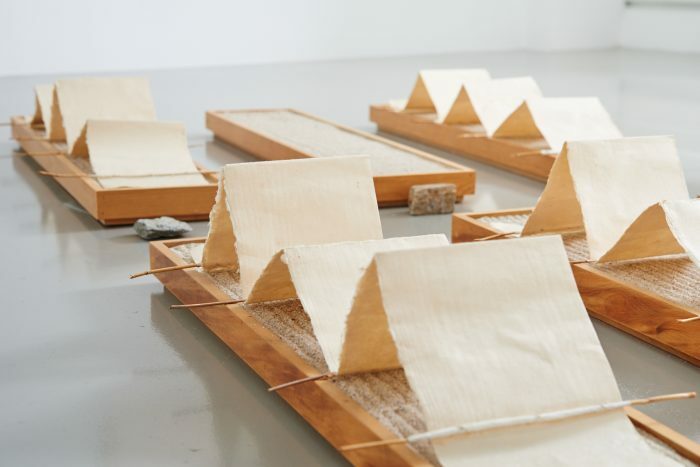 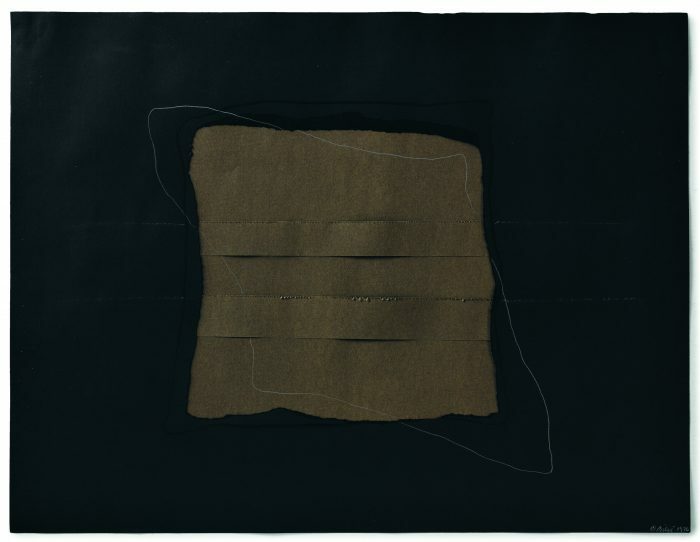 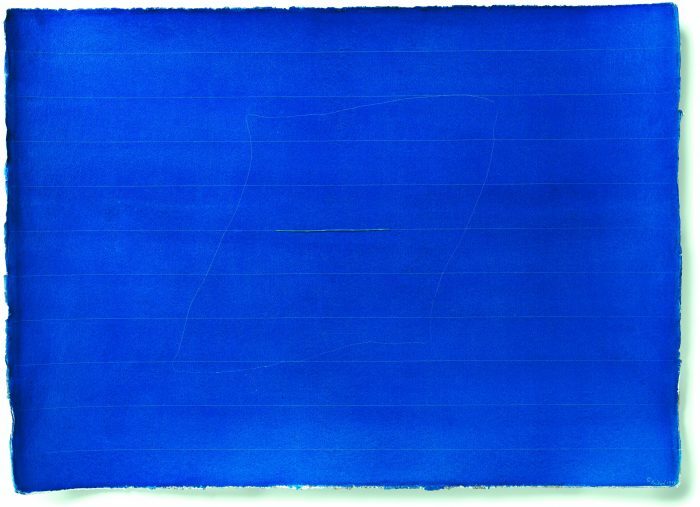 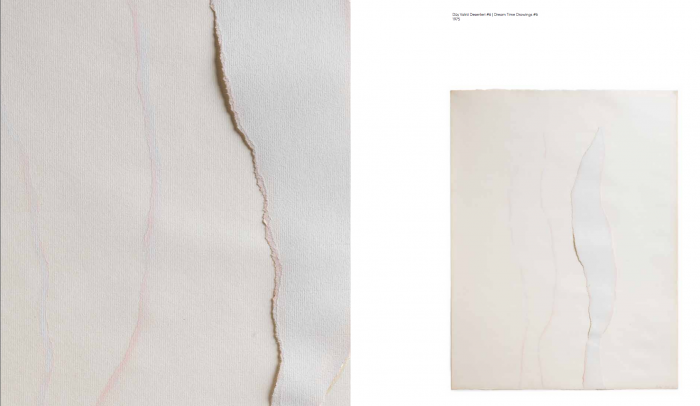 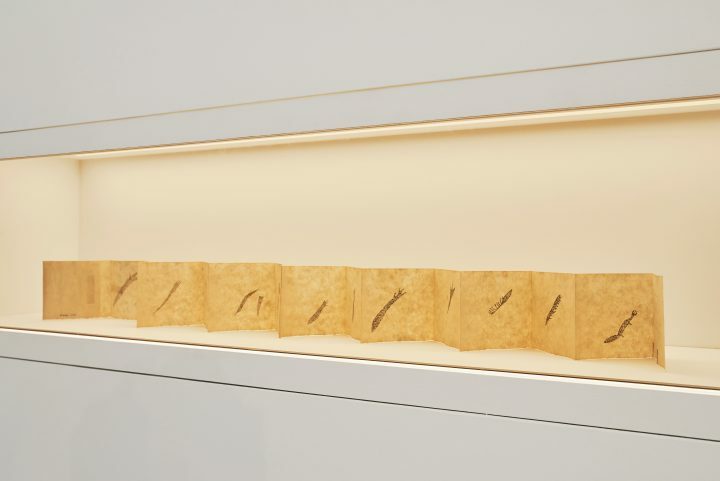 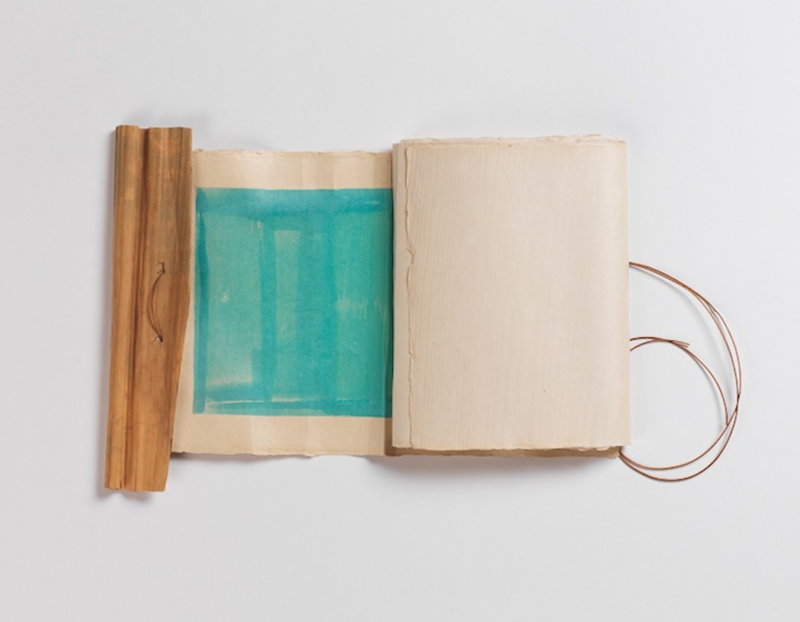 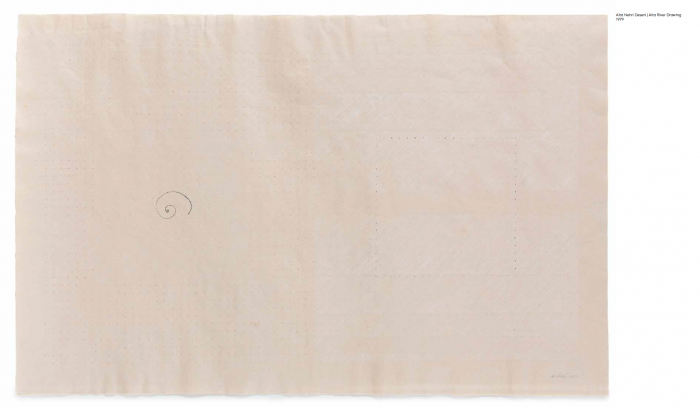 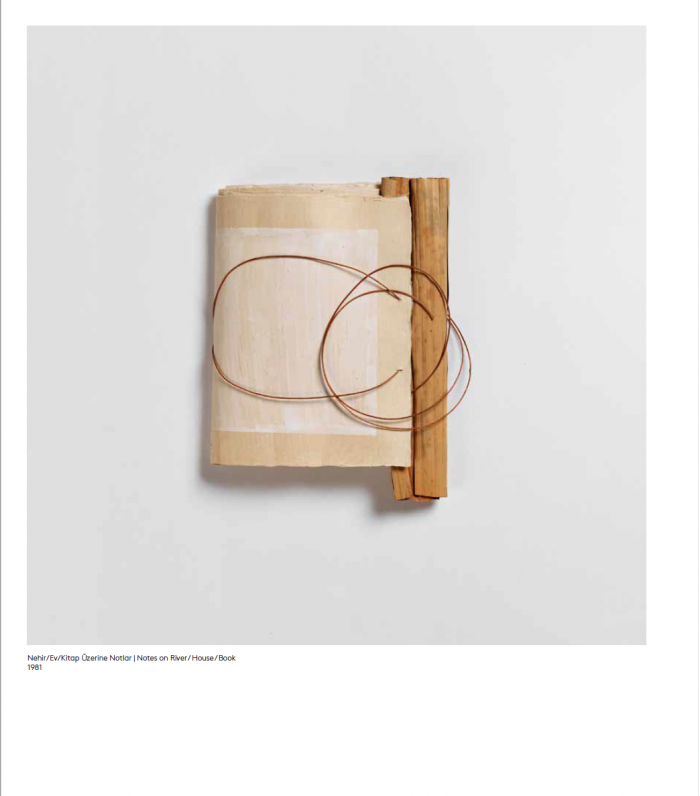 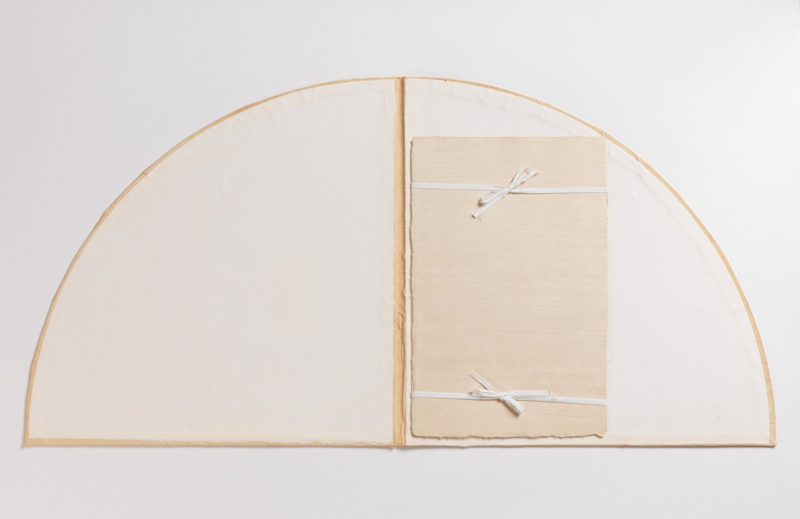 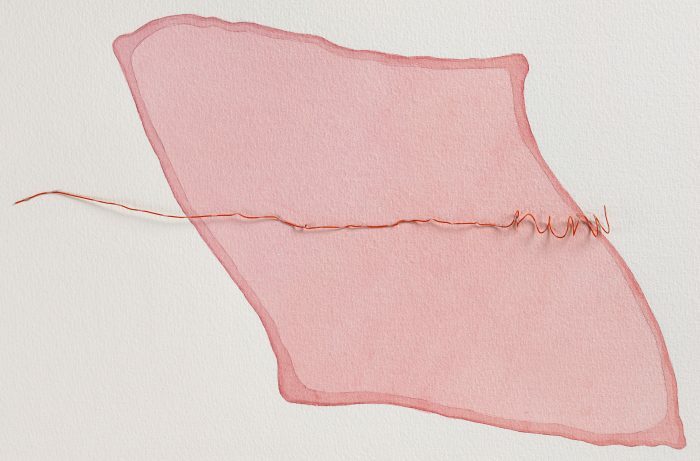 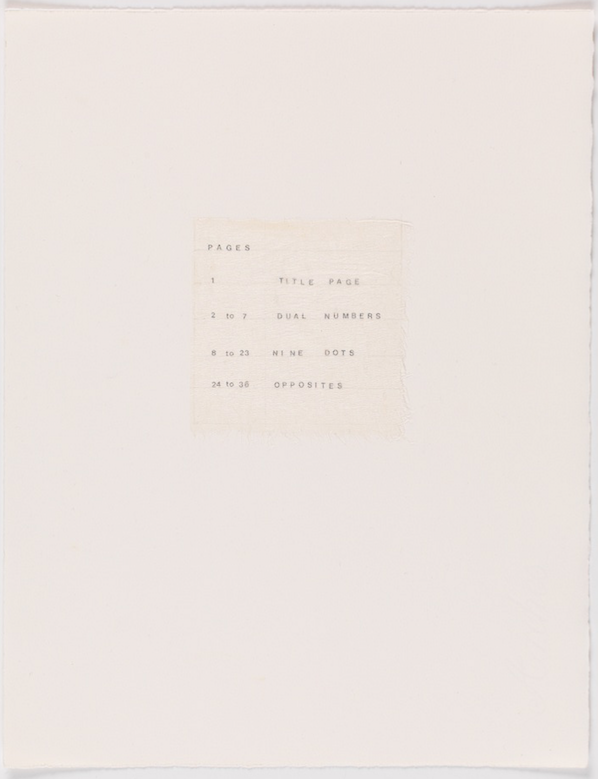 Defining “time, repetition, and the mysterious numerical structure of things” as the primary focus of her work, Friedlaender used paper, string, and natural materials to engage with the line and the square as expressions of the basis of humanity. 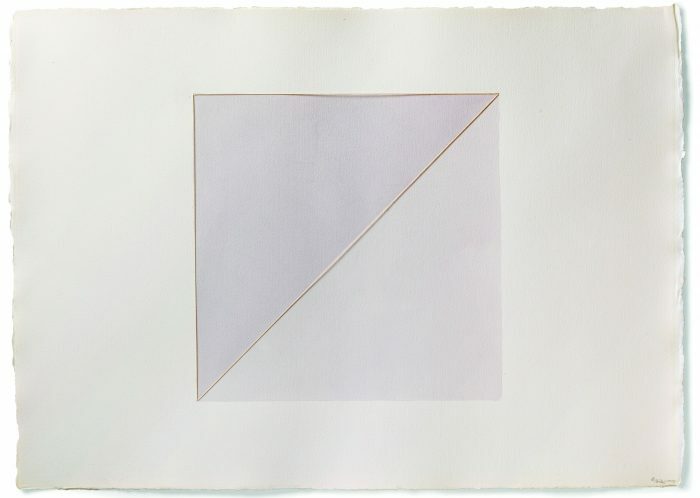 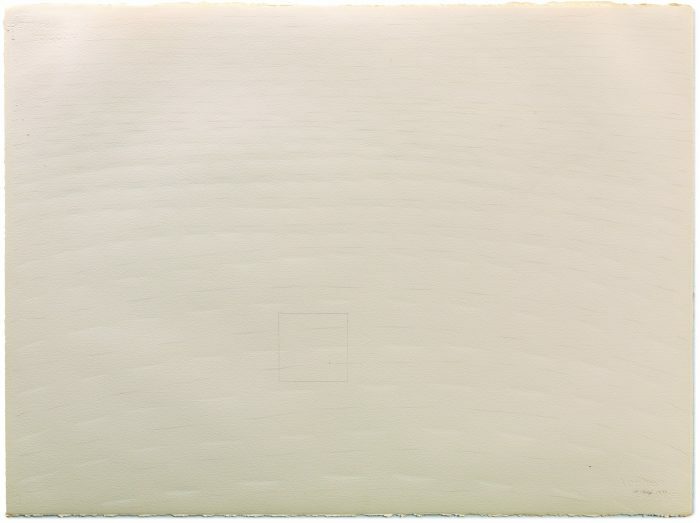 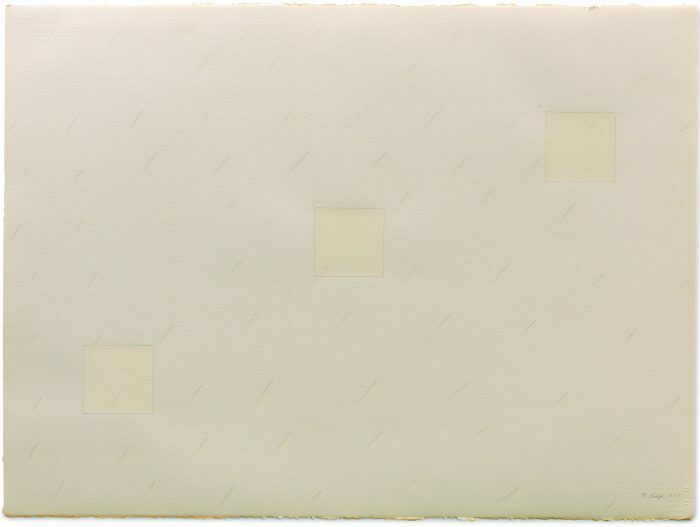 “Linear Diagonal Mutation” (1975) expresses the disorienting result of this engagement, as does “Square Mutation: Denying Gravity #10” (1975), which opens up the “spaceless space” the artist laboured to bring into her work. 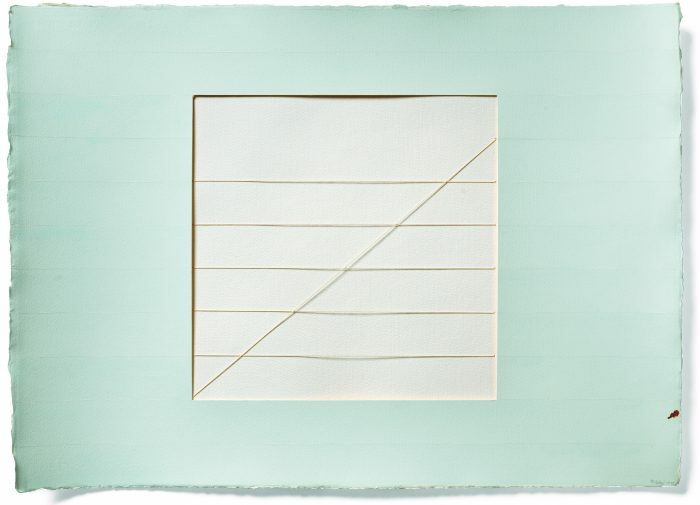 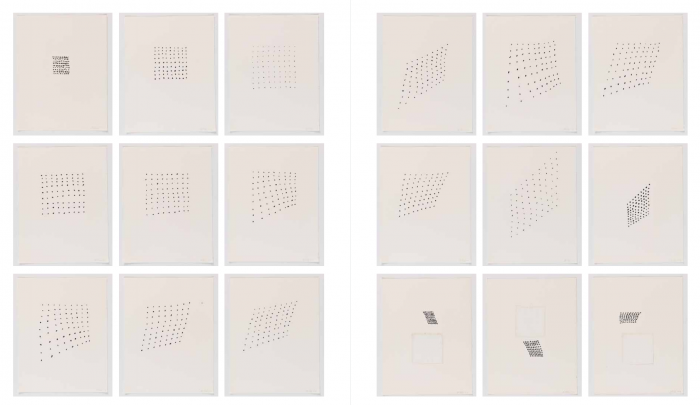 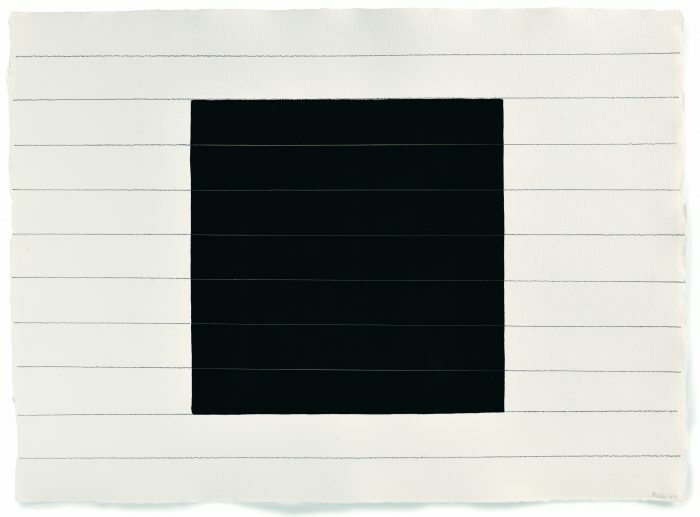 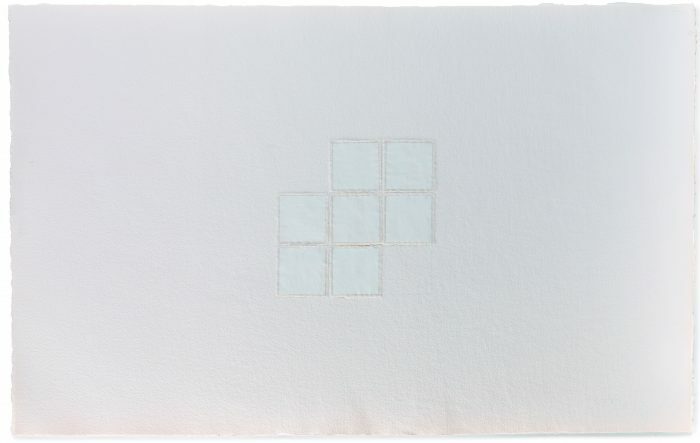 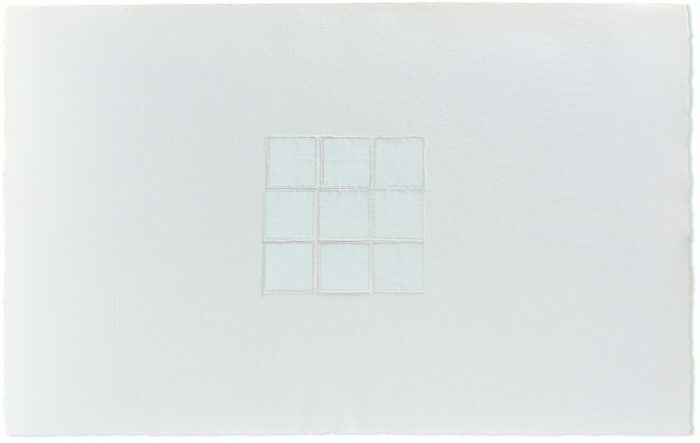 The torn and drawn mutated squares of “Breaking Through” (1976) challenge our perception of space with a sense of floating, while facing a double horizon. 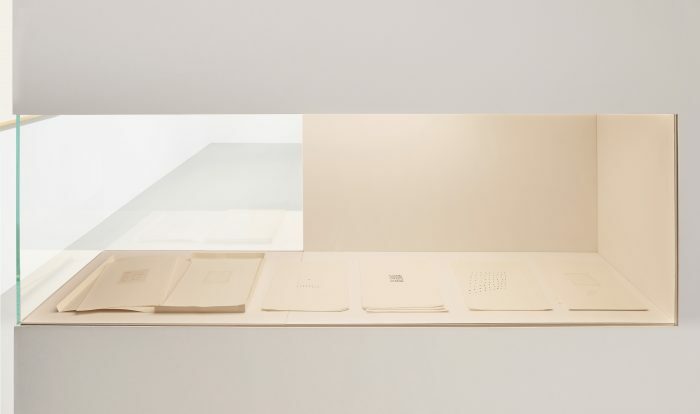 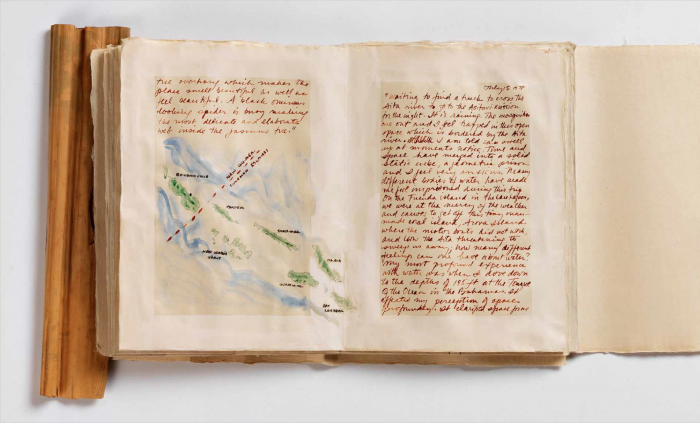 Friedlaender’s later projects, such as the expanded book entitled “River / House / Book” (1982), reveal a more explicit move towards a direct dialogue with nature, and offers the audience a glimpse of the artist’s later direction. 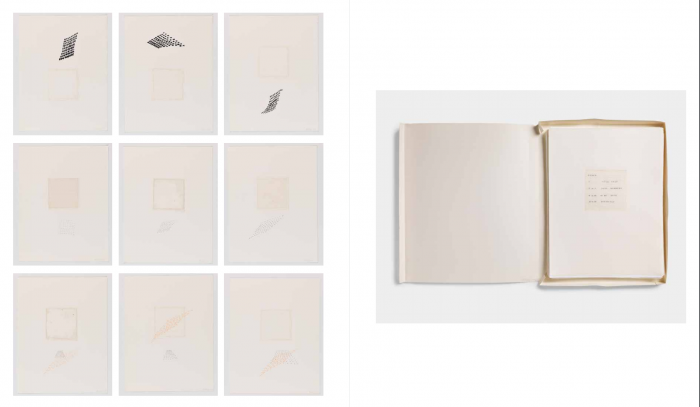 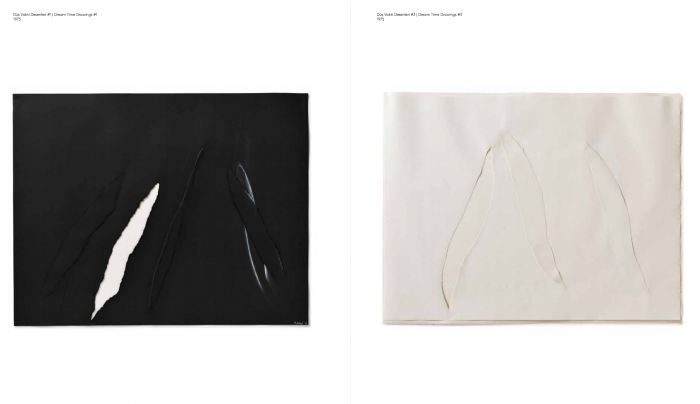 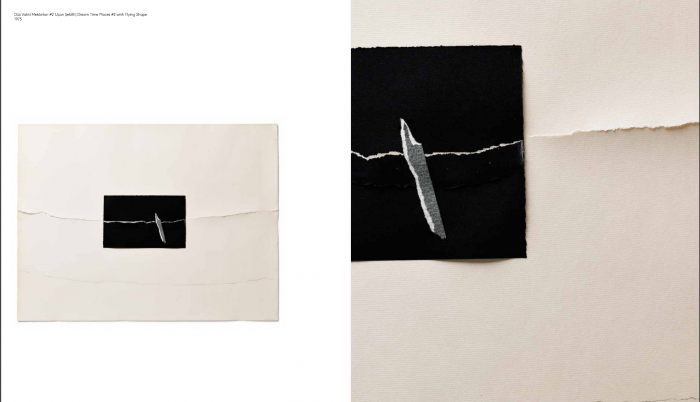 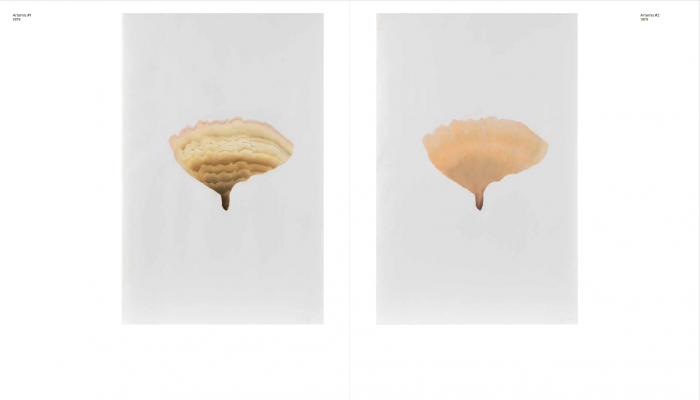 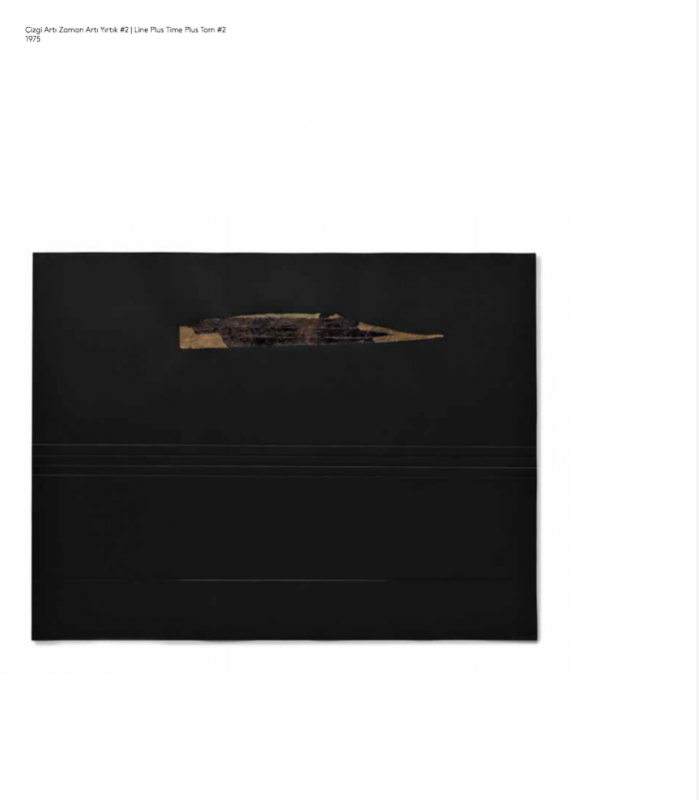 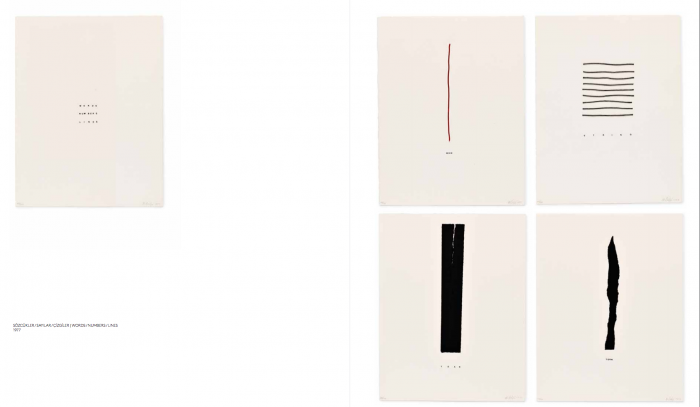 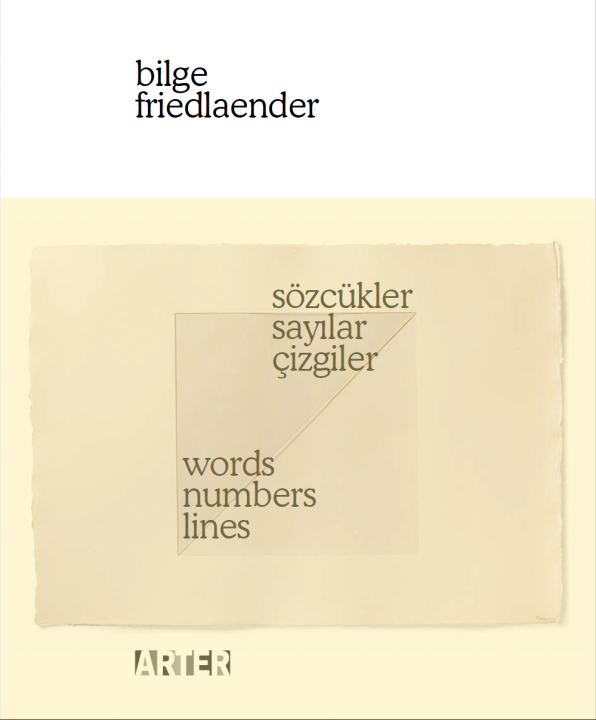 Another artist’s book, “Homage to Sinan” (1981), and the triptych “Homage to Nâzım Hikmet” (1979) also allow us to experience this transition. 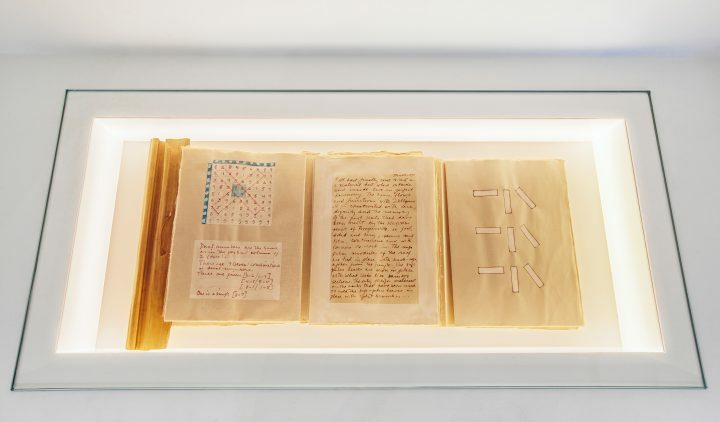 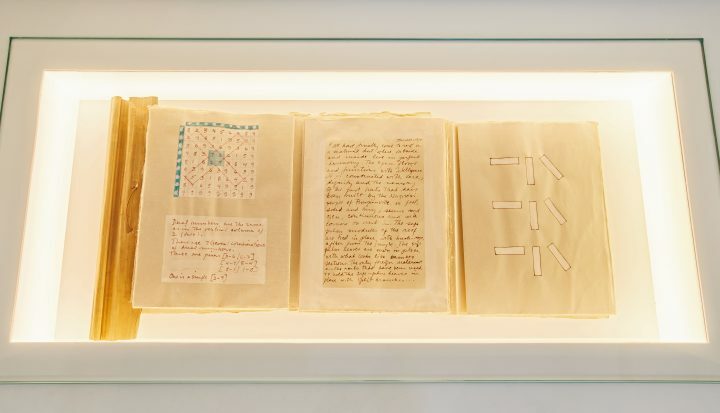 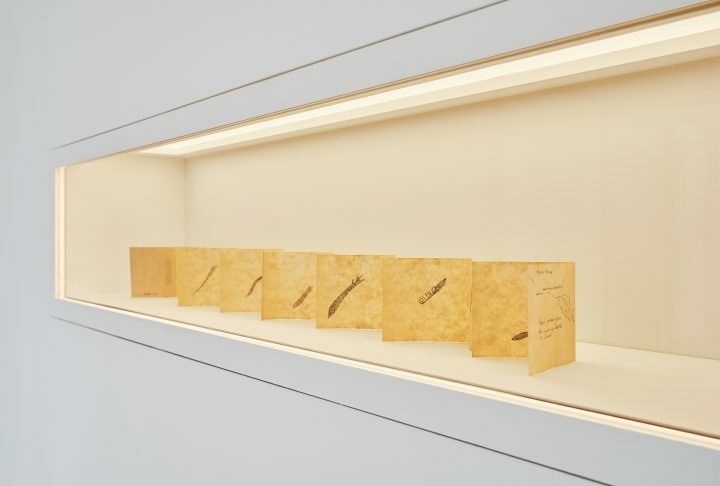 “Words, Numbers, Lines” presents Friedlaender’s transcendent works, while the “conversation with herself” in the exhibition publication offers a personal and professional account of the artist. 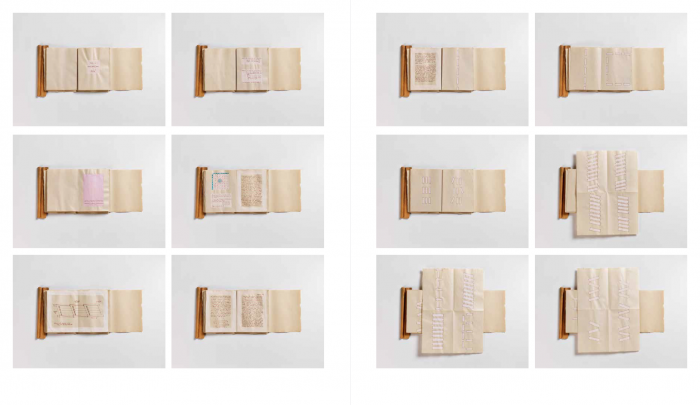 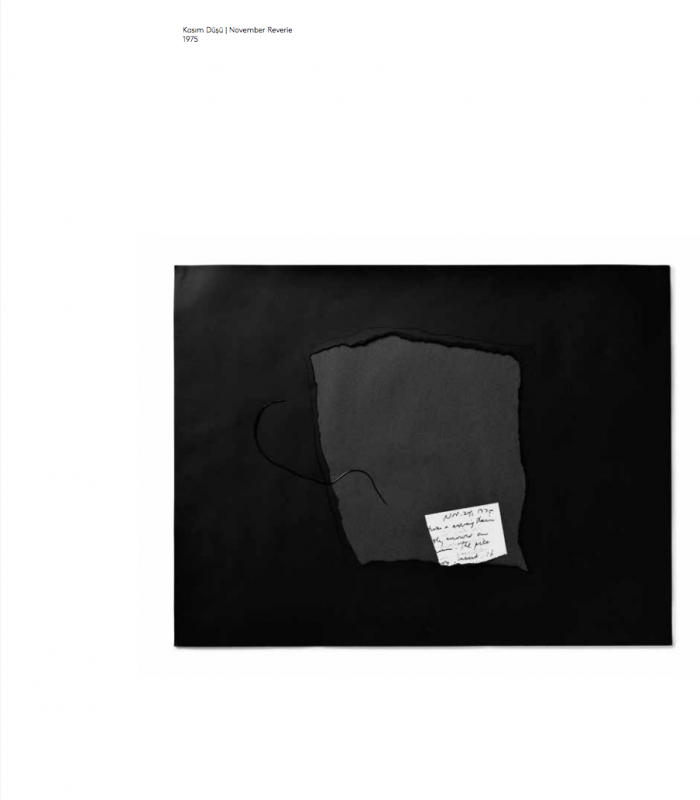 The essay is a fictive interview expressing Friedlaender’s artistic concerns, edited and compiled by the curators from a vast variety of text selected from published and unpublished material up to this day. 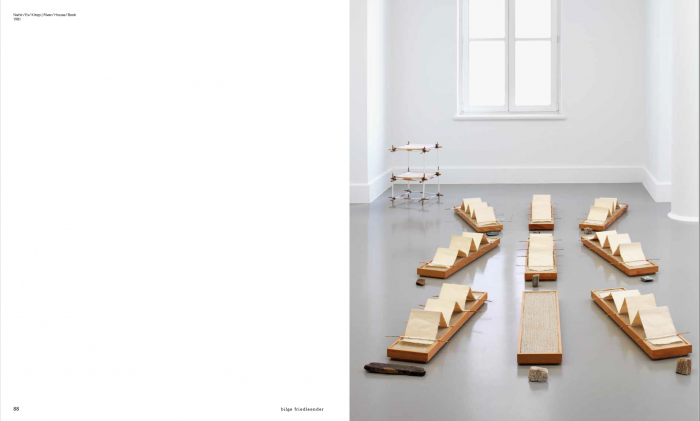 The publication also includes an essay by Ahu Antmen, who knew and reviewed the artist in the 90s. 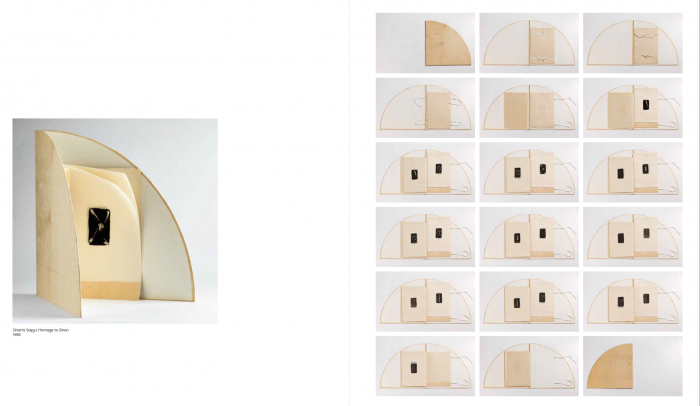 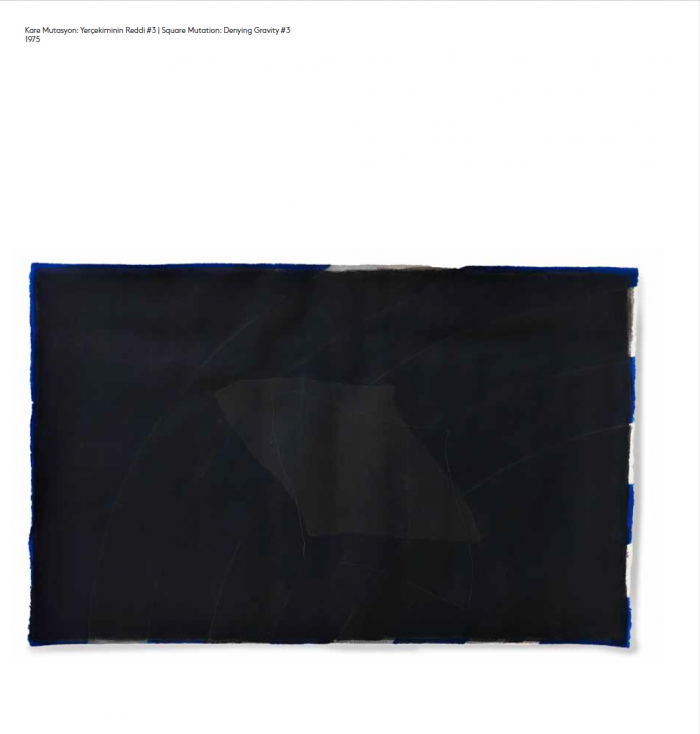 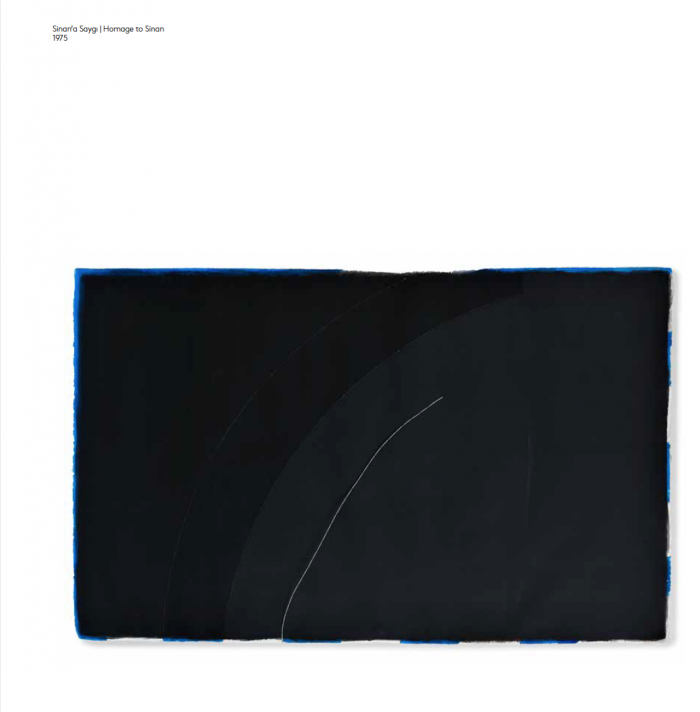 Antmen brings a sensitive and historical reading of the work, primarily referring to the artist’s practices in Turkey, giving us a view of Friedlaender’s production towards the end of her life. 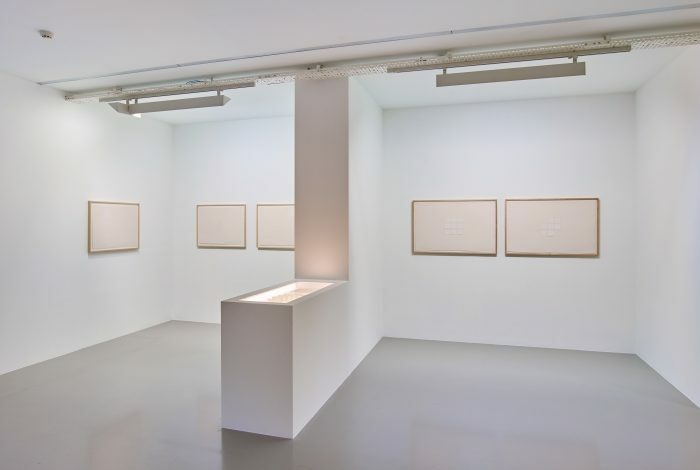 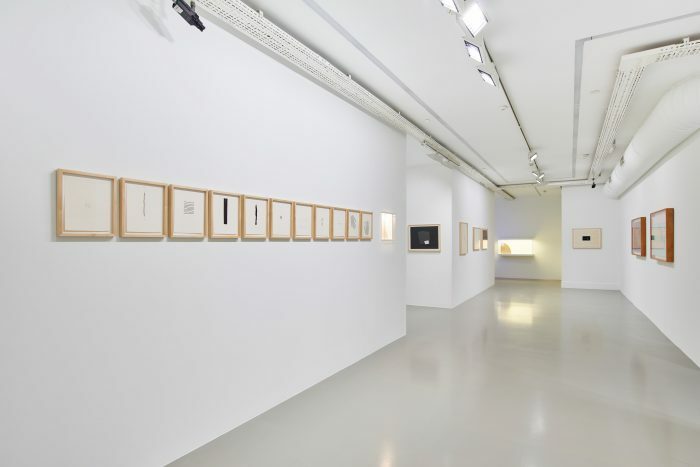 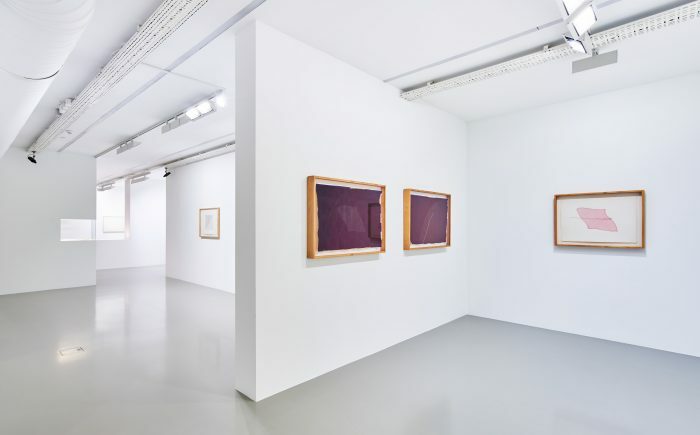 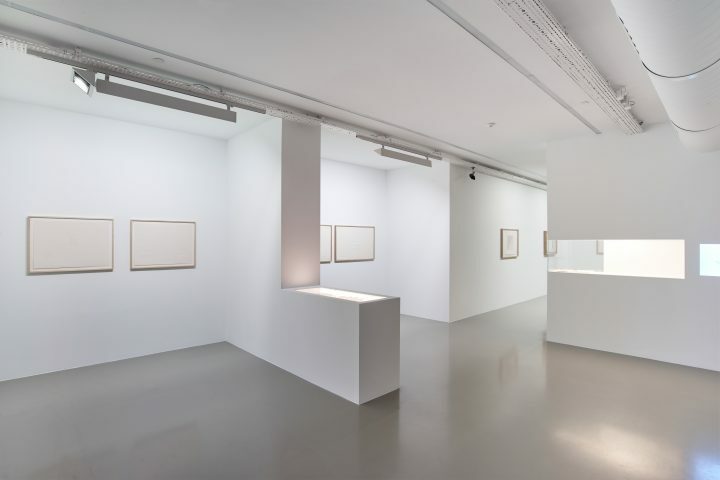 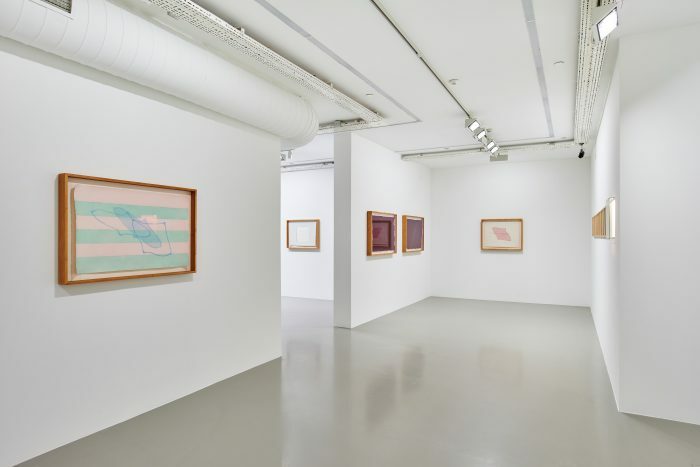 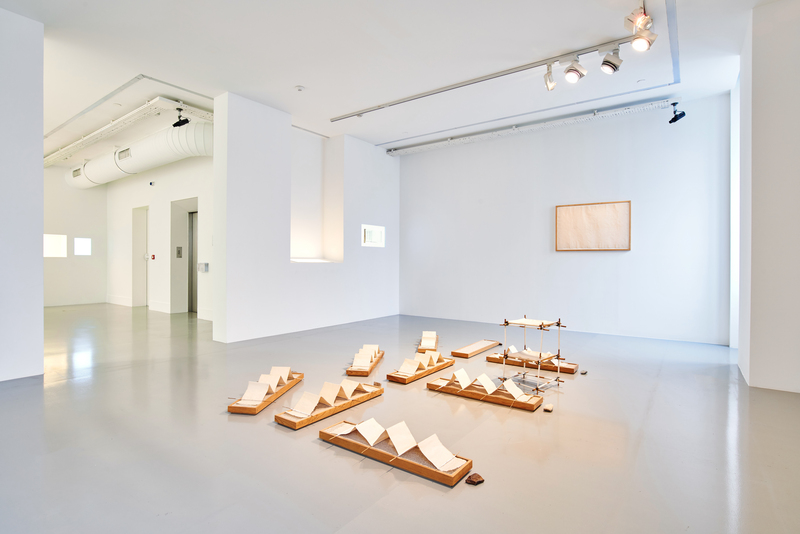 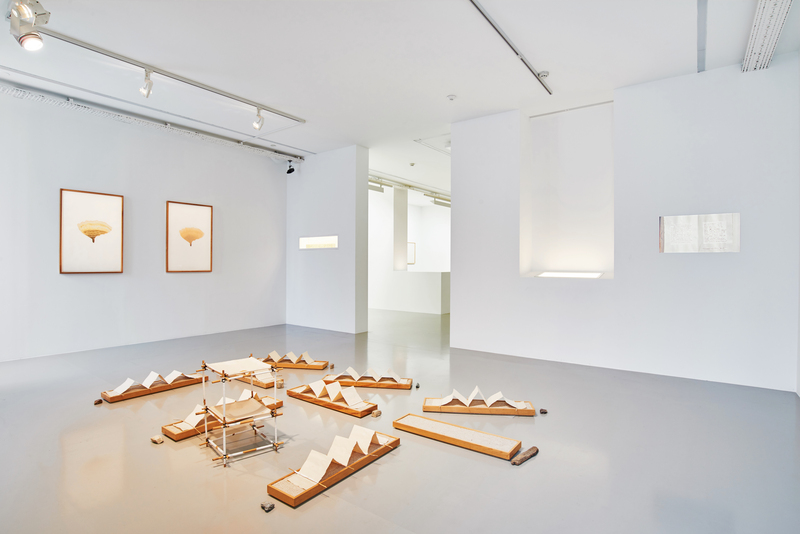 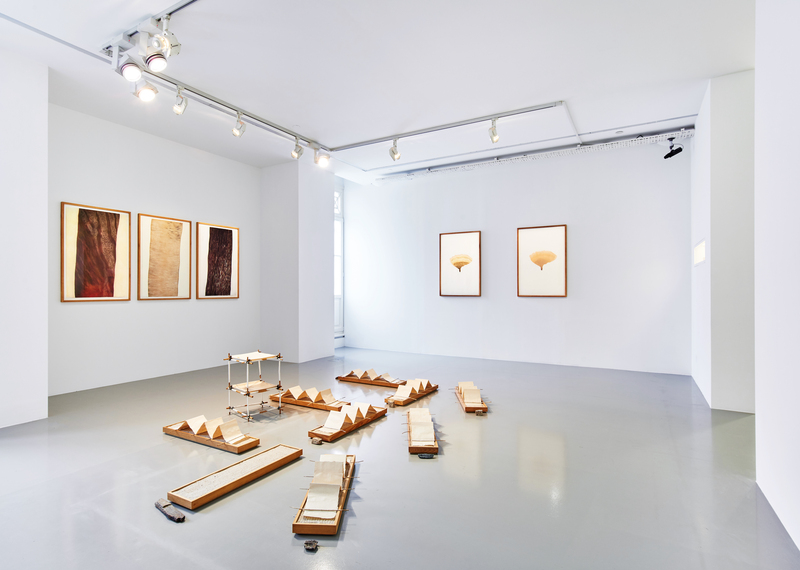 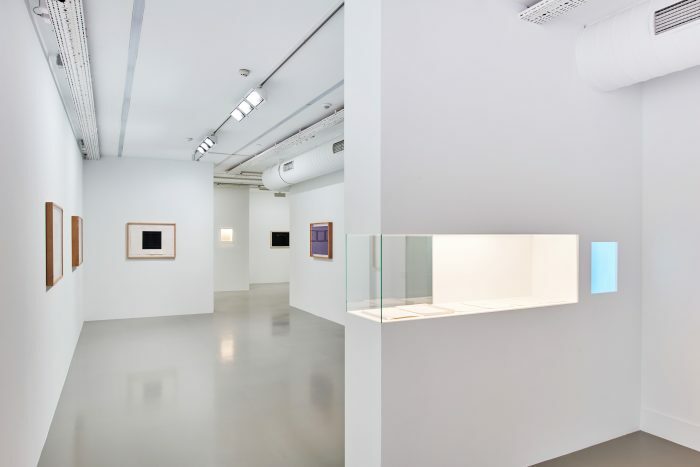 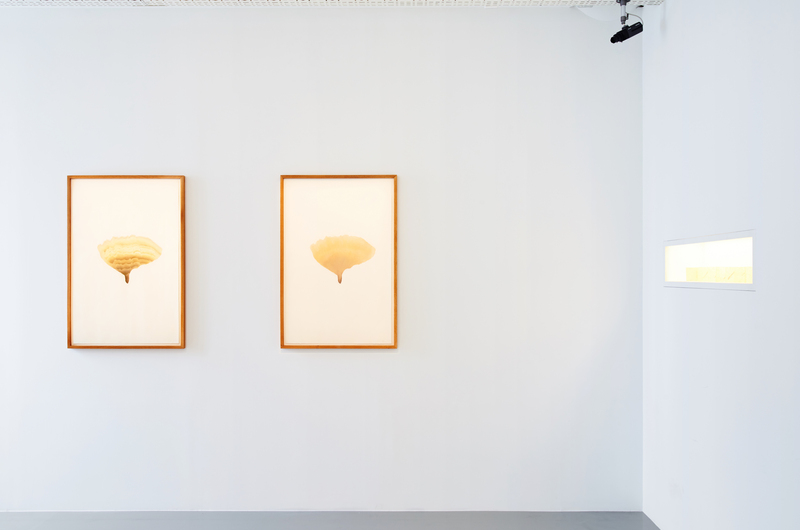 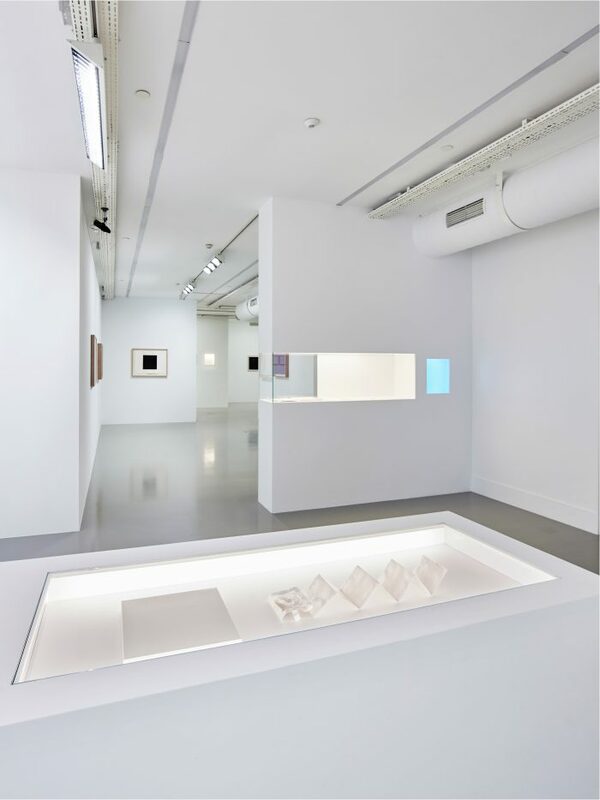 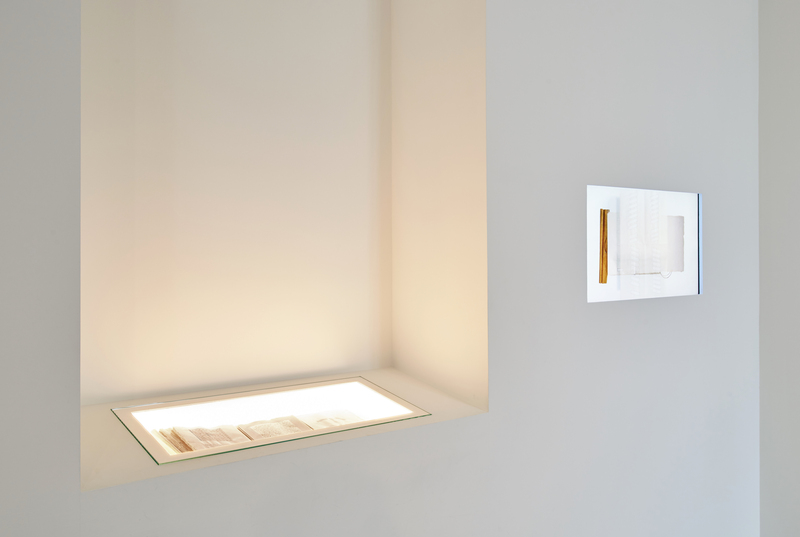 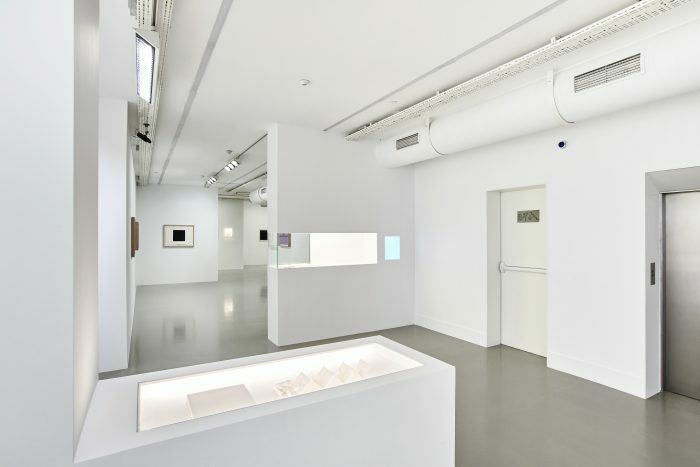 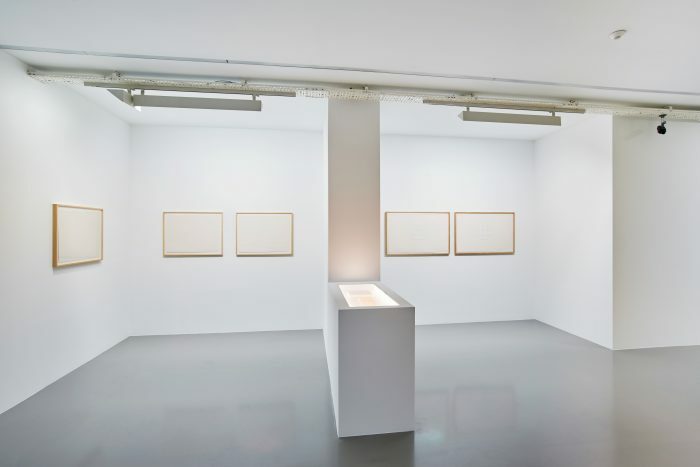 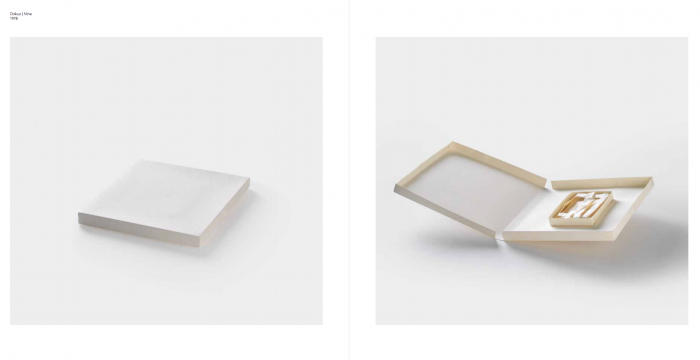 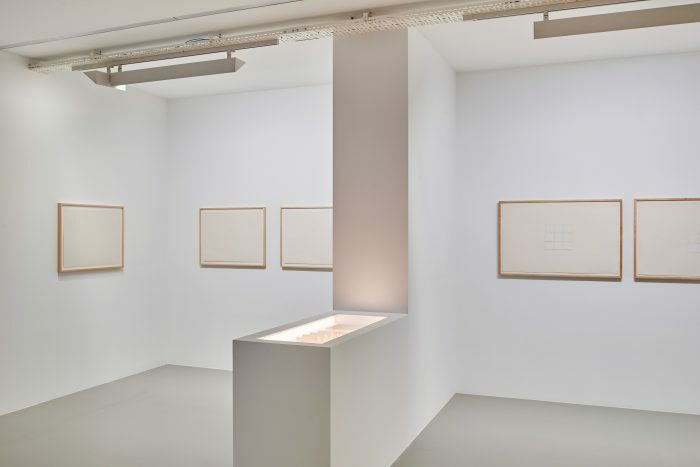 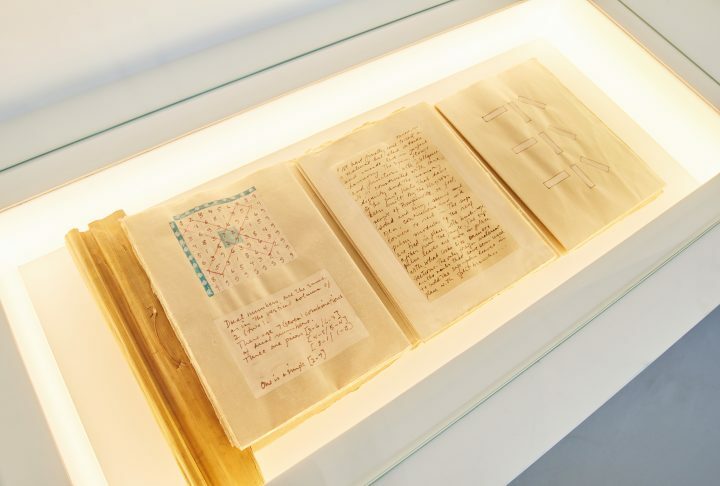 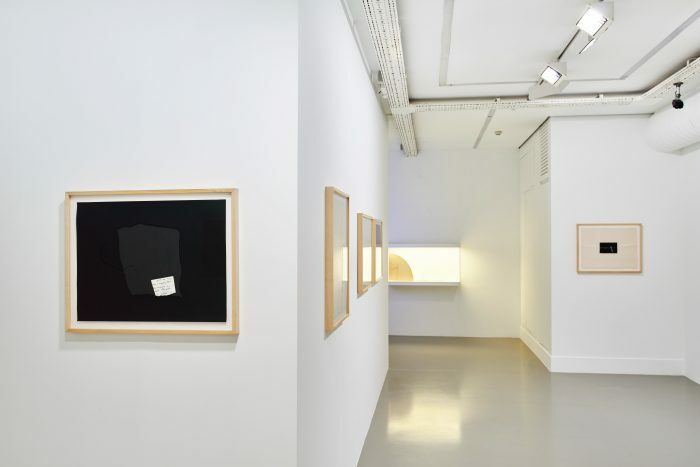 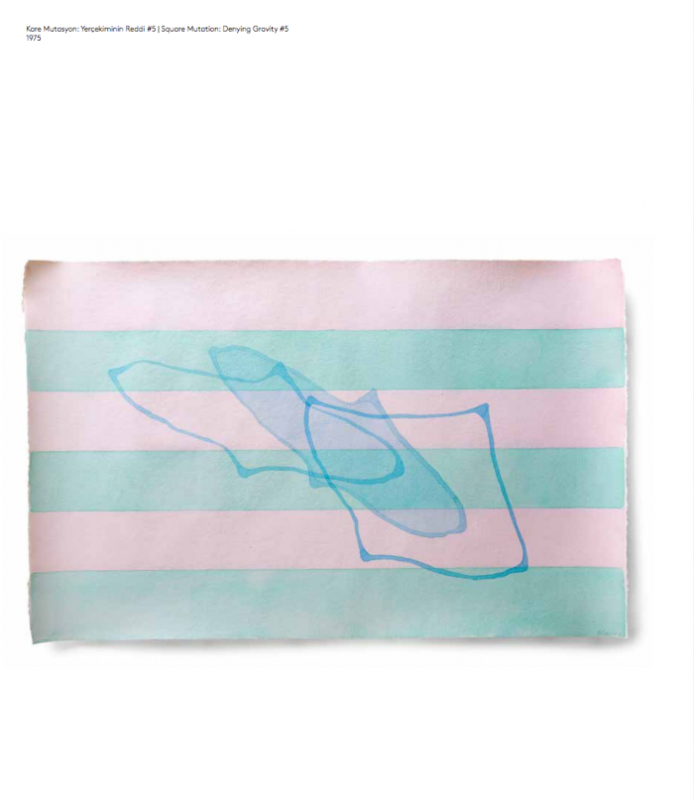 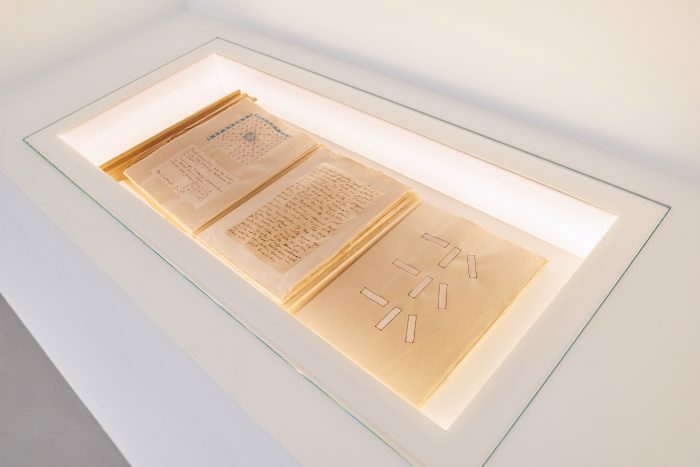 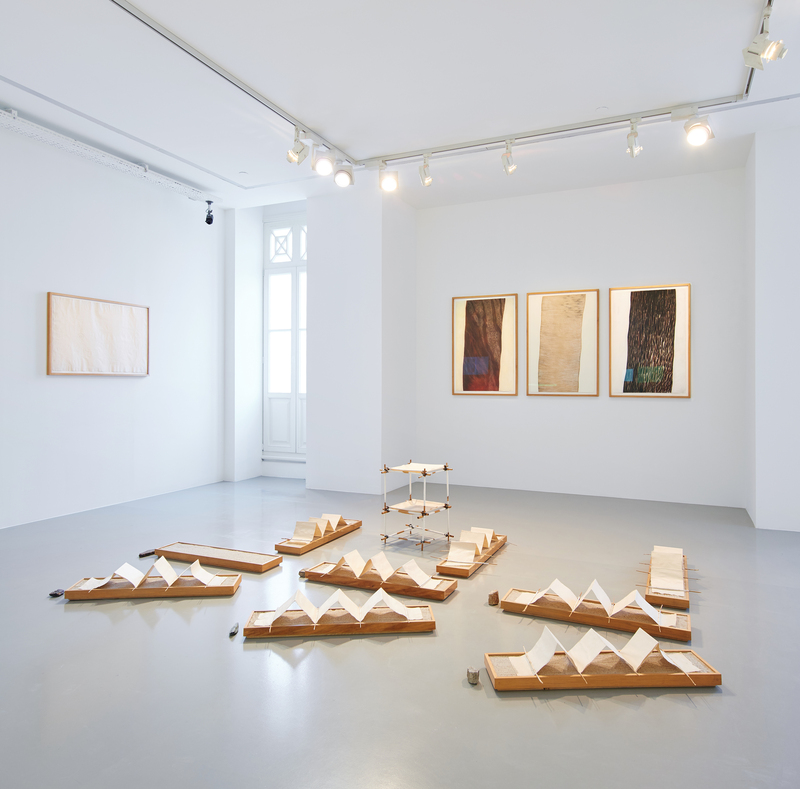 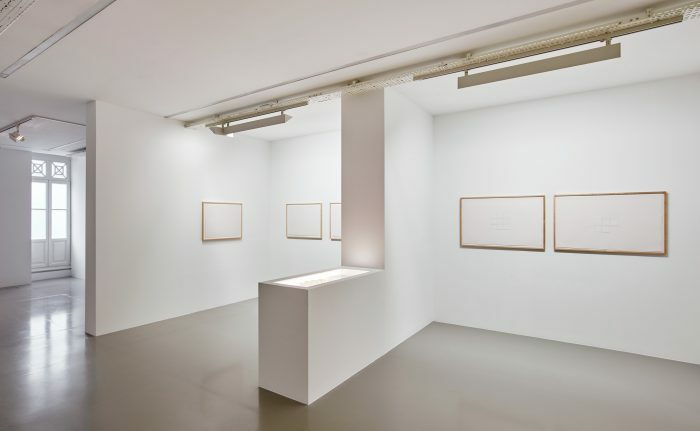 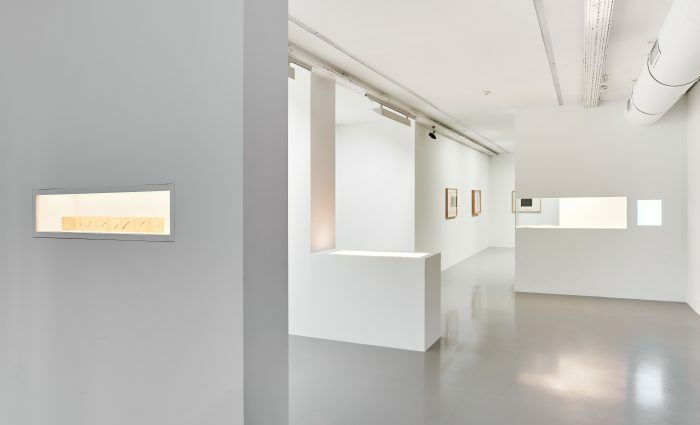 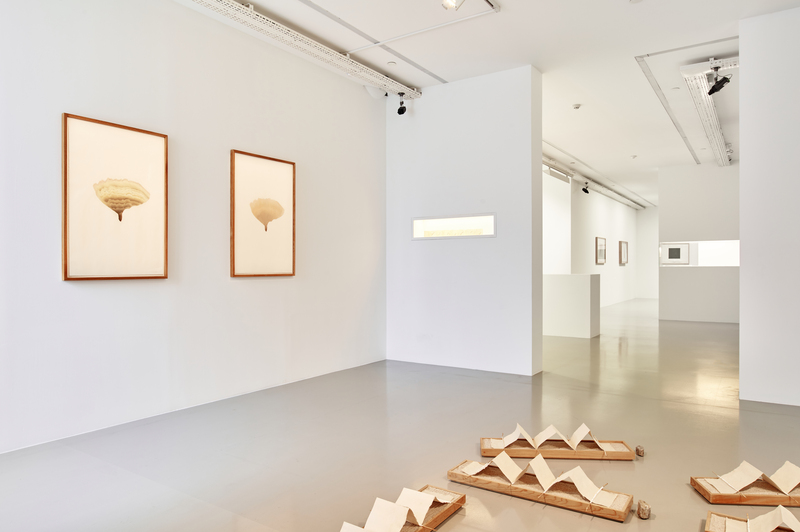 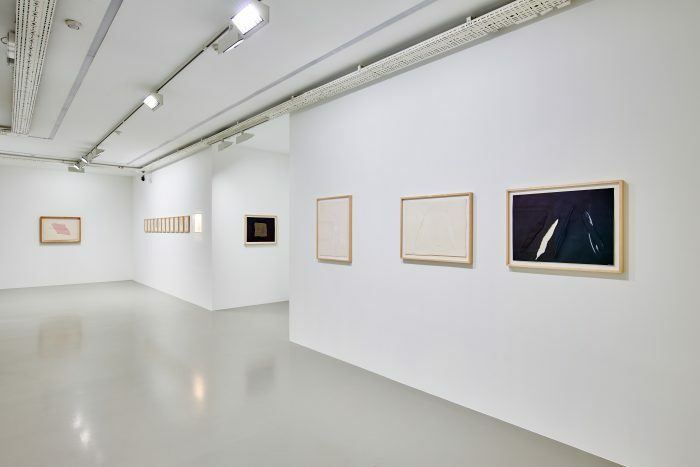 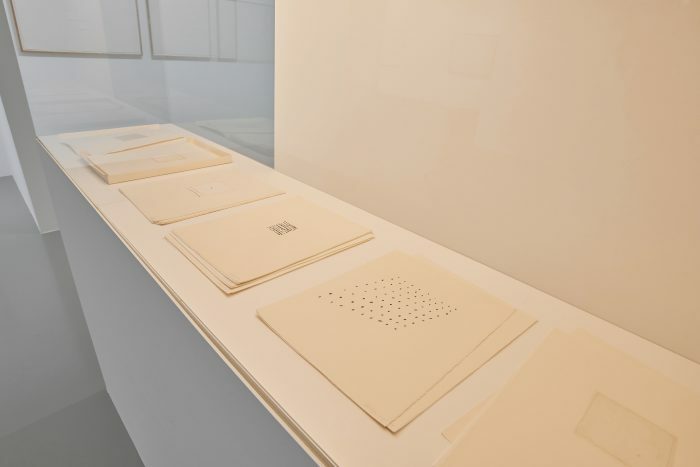 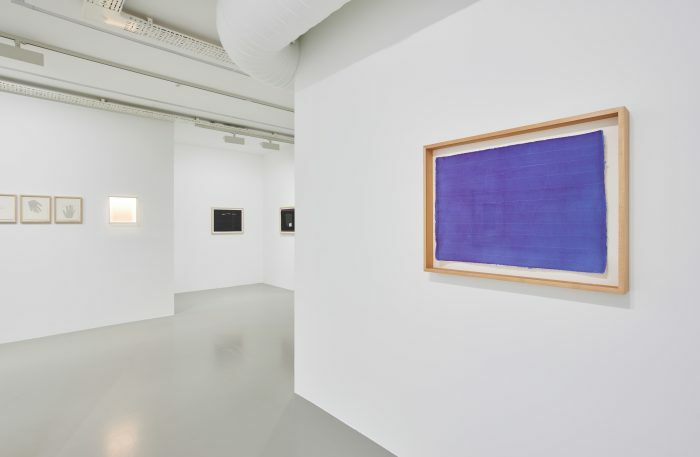 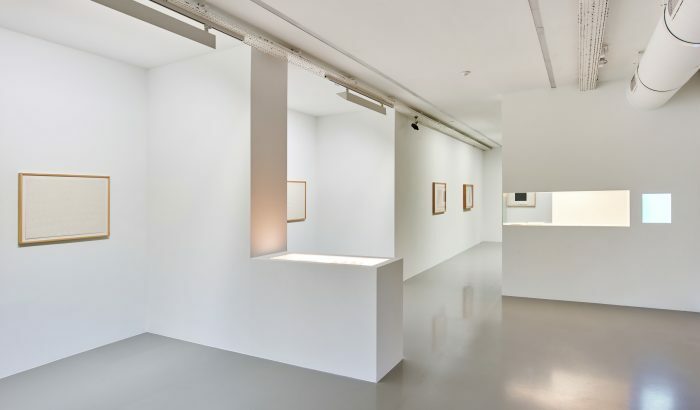 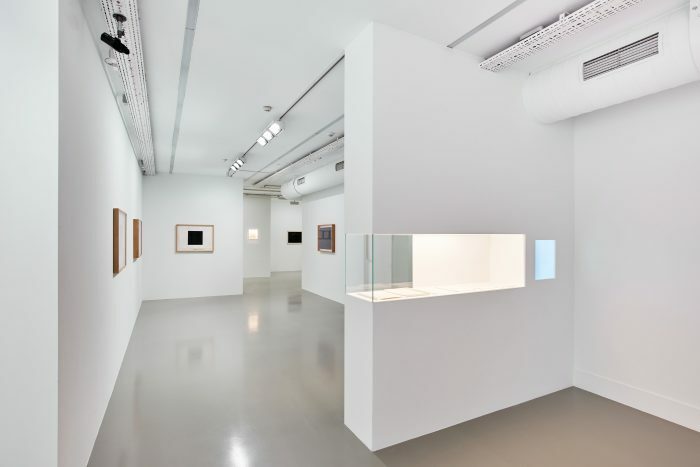 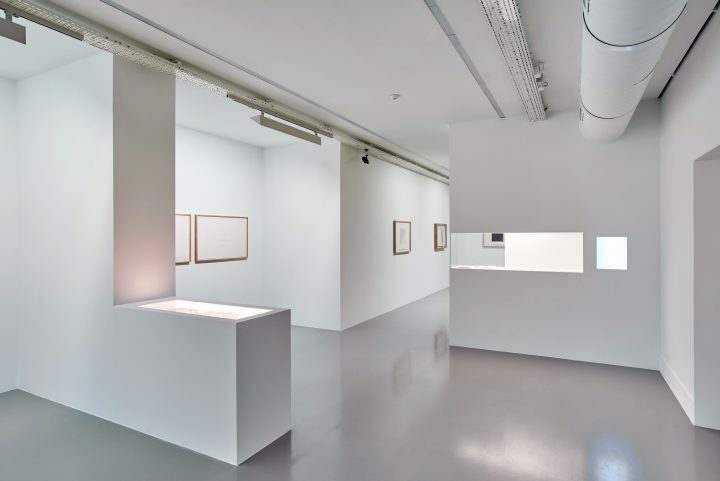 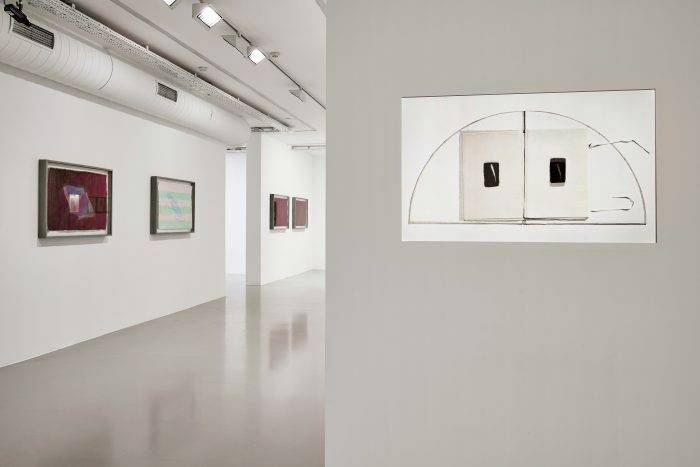 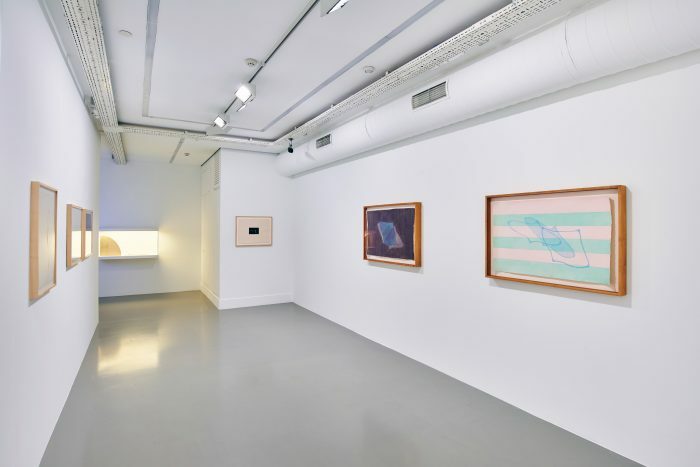 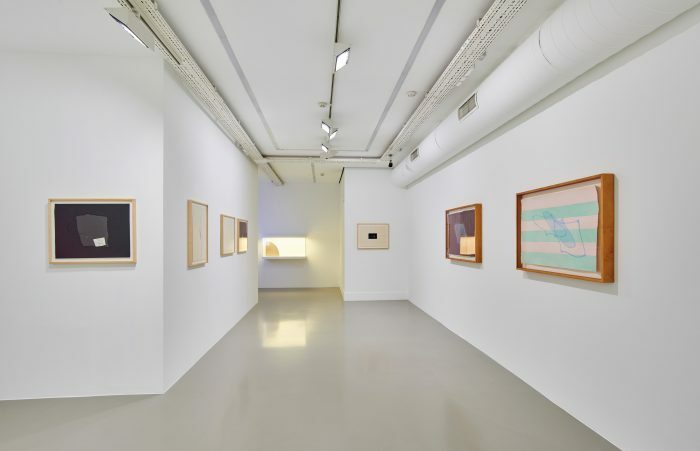 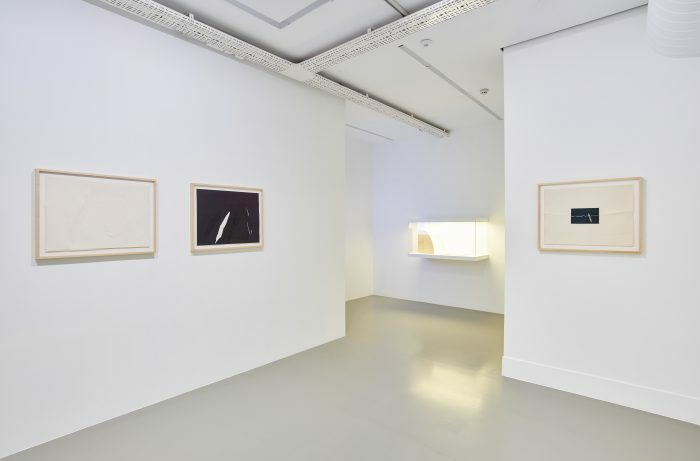 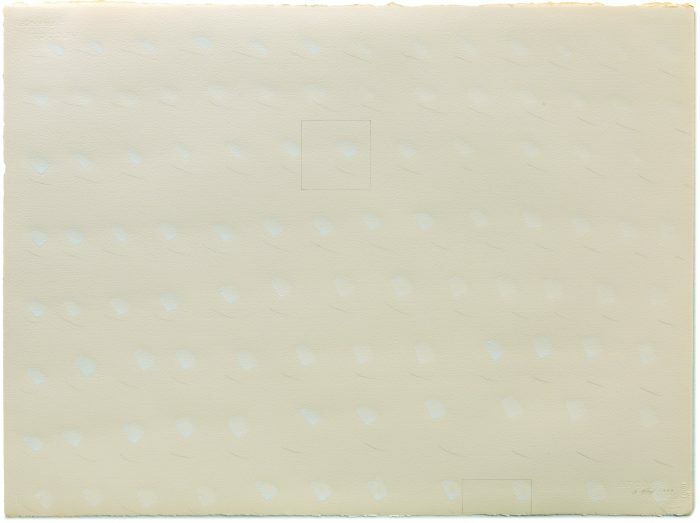 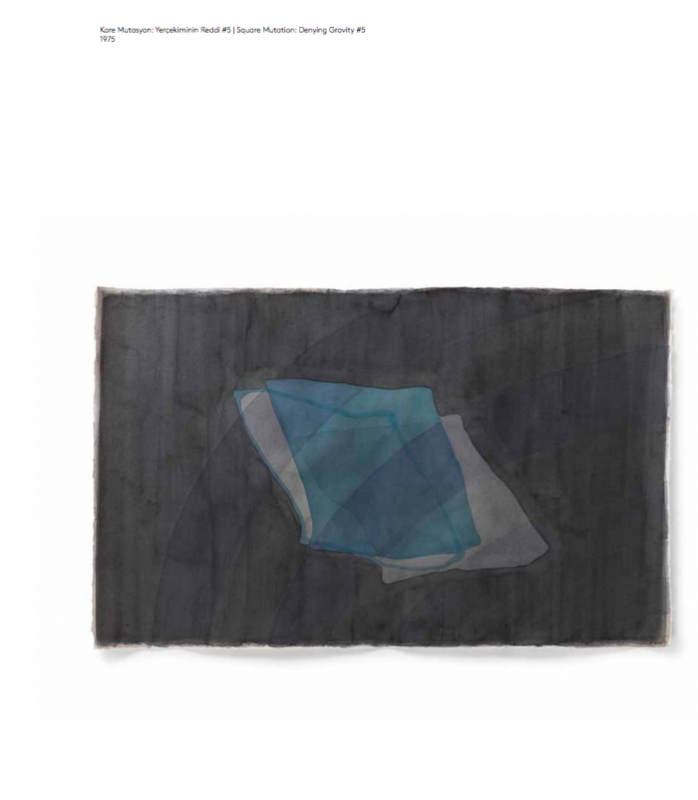 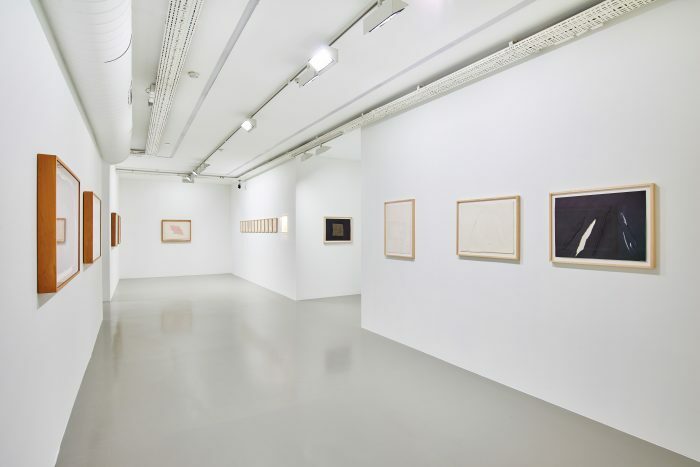 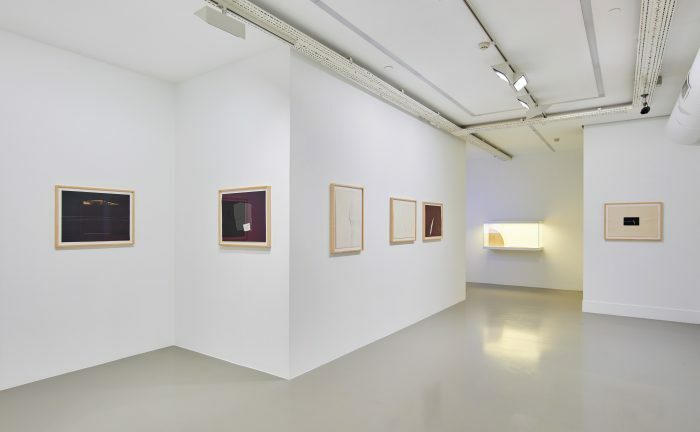 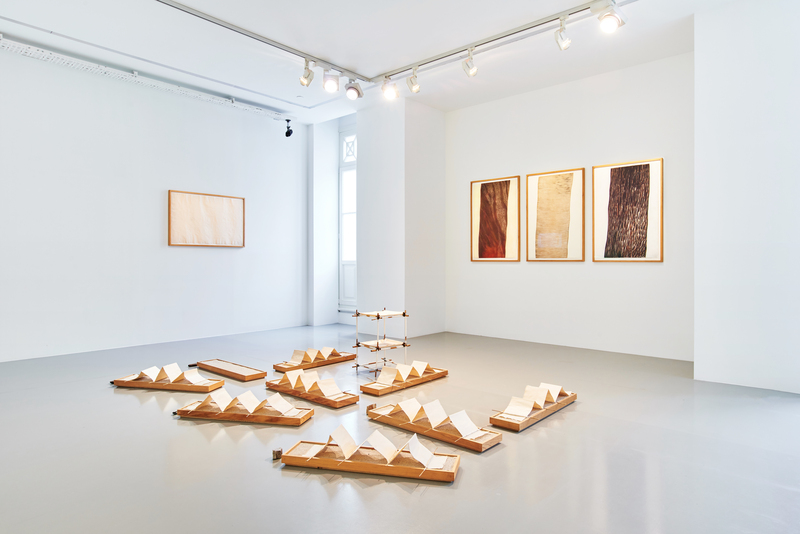 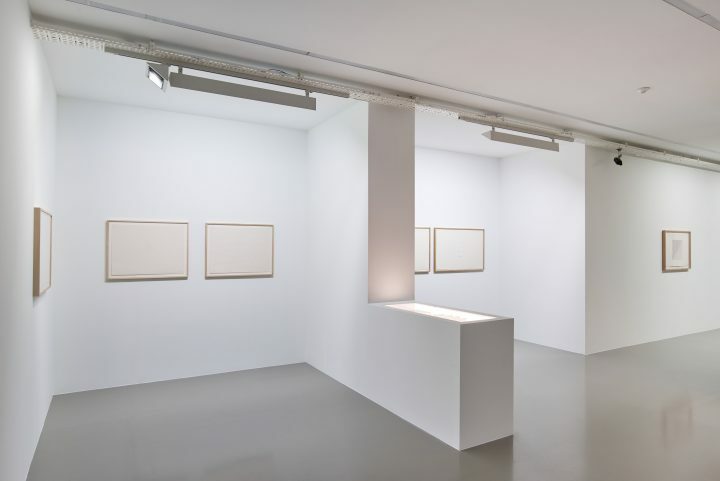 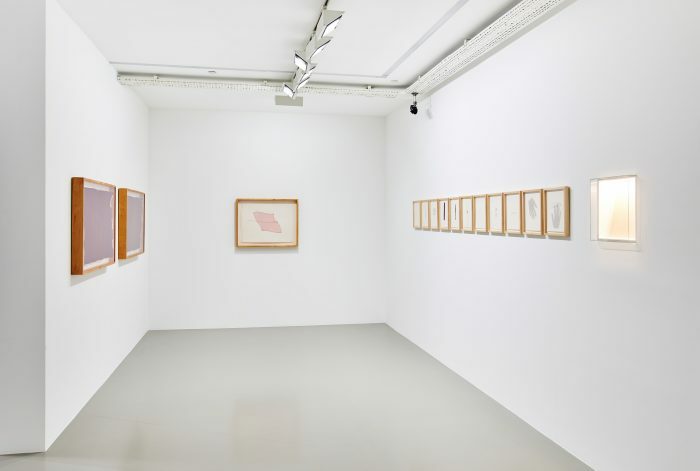 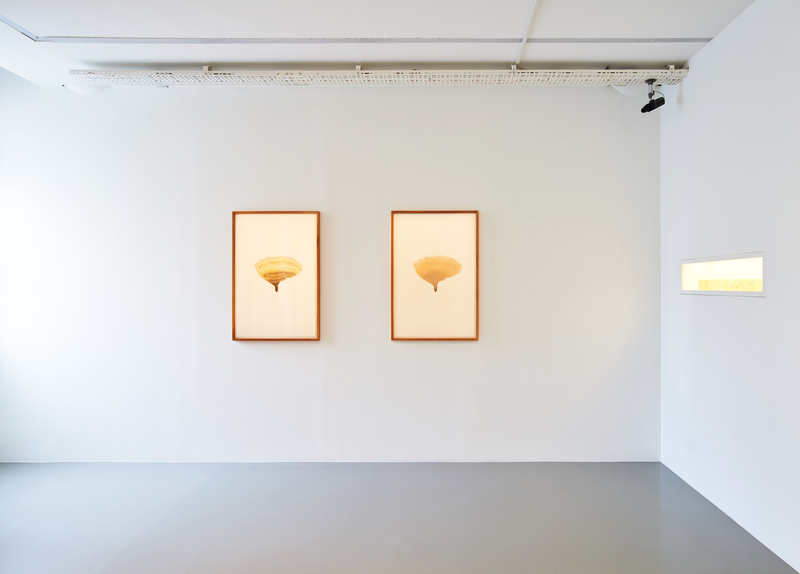 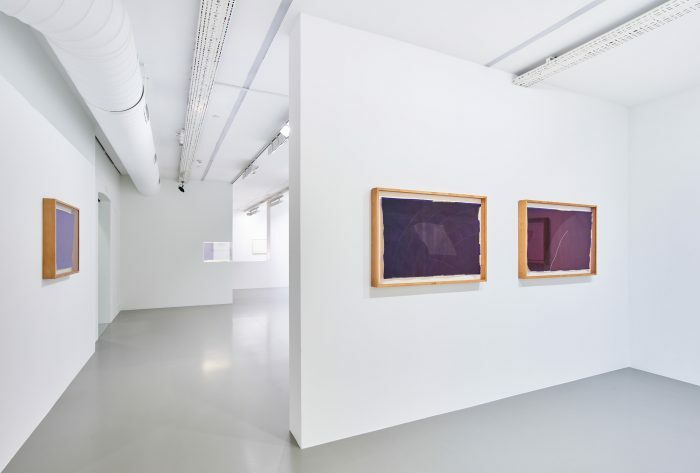 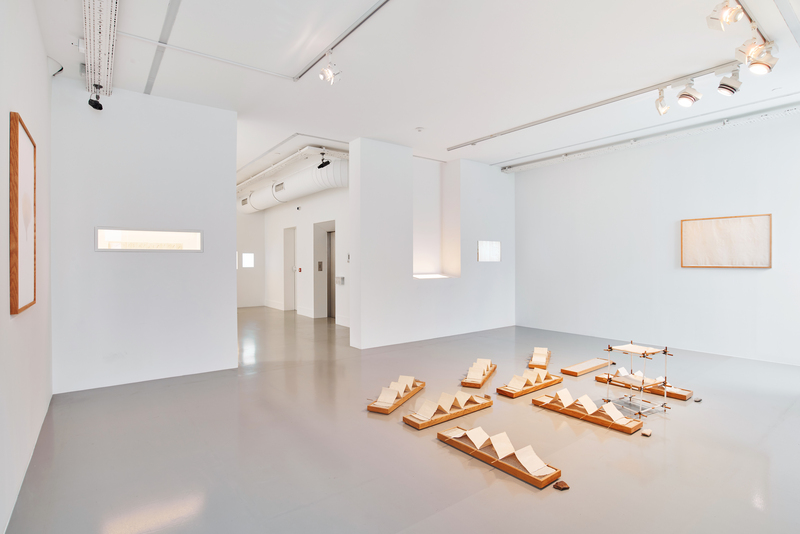 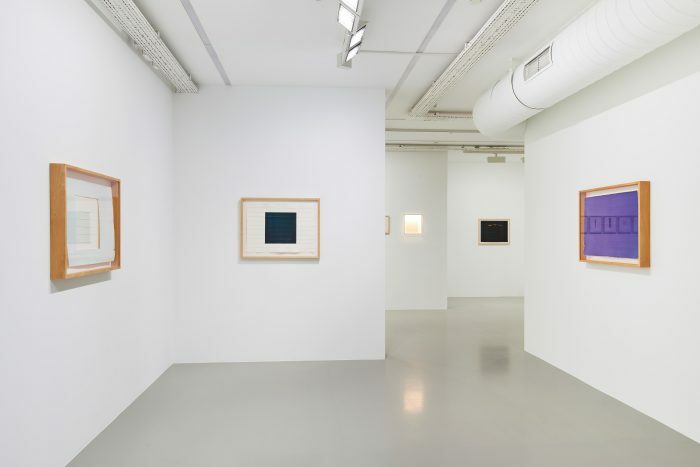 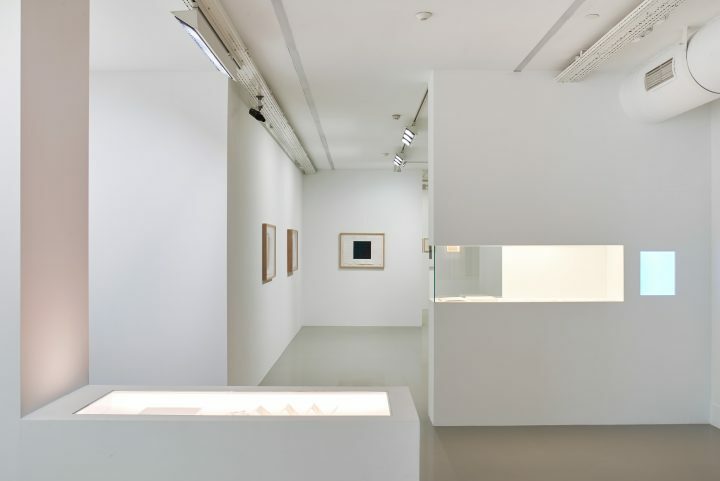 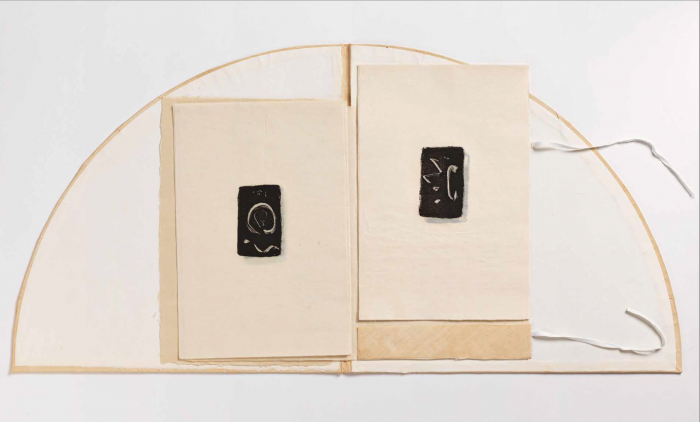 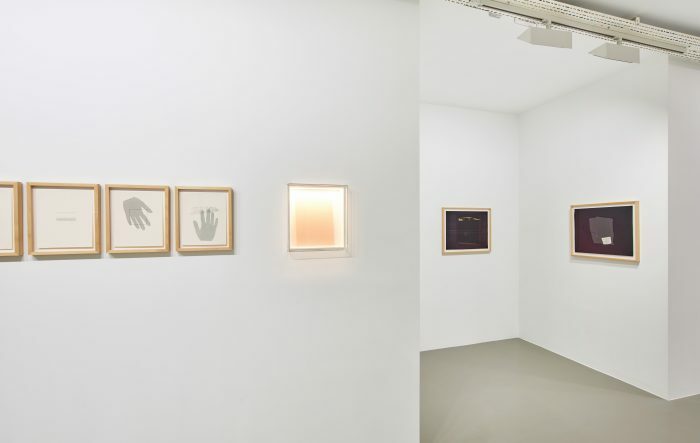 Lewis Johnson, another contributor to the publication, puts Friedlaender’s selected works in the exhibition in a wider philosophical context, and Gregory Volk engages with the deep source of the work via material and touch, while connecting the artist to American cultural history. 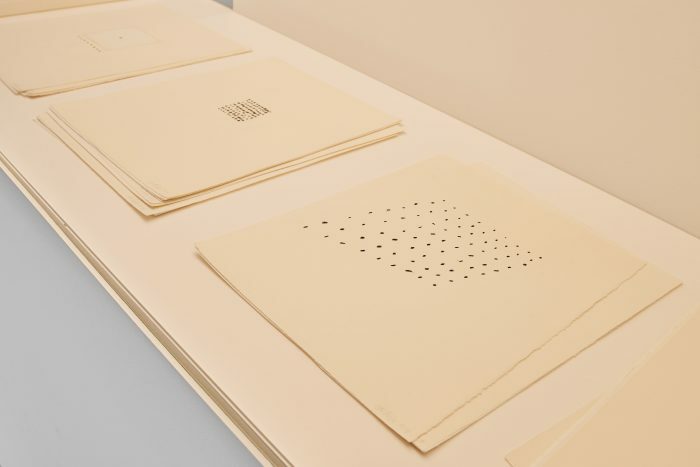 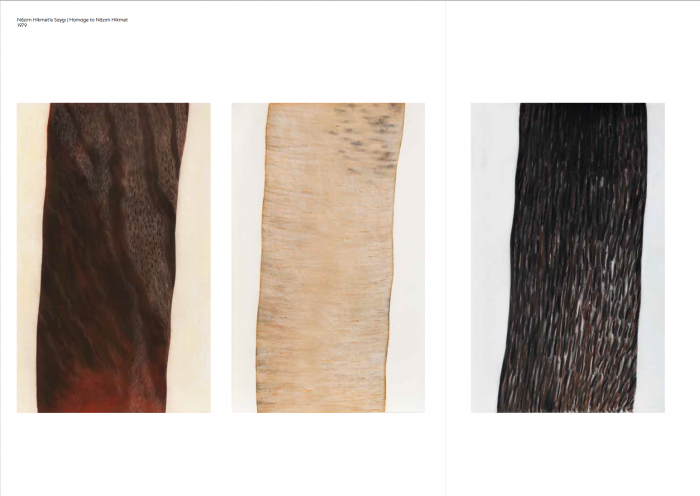 Excerpts from the exhibition’s publication. 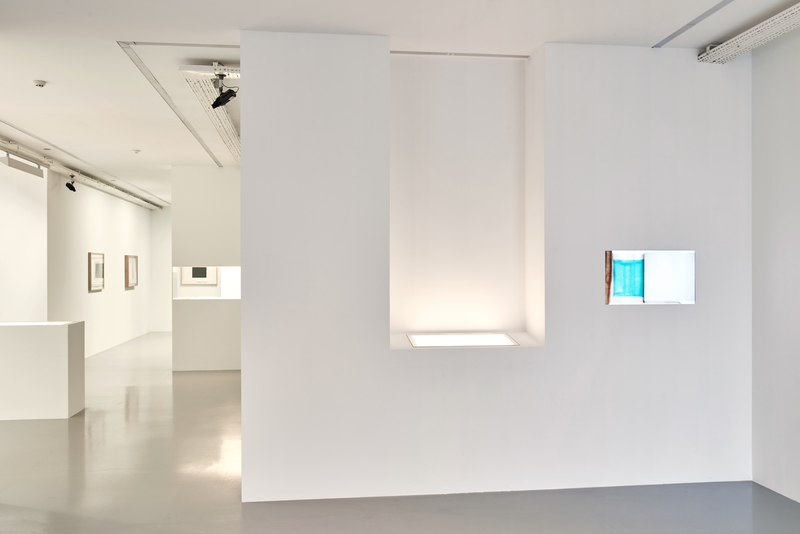 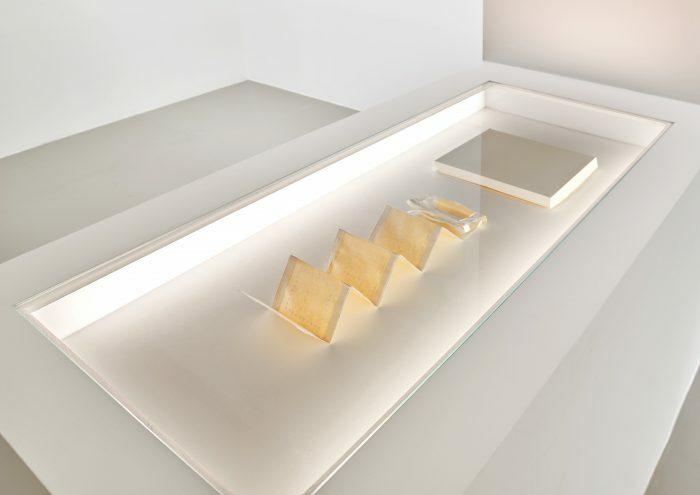 Videos have been produced for this exhibition by Sinan Vural, Sinefekt Post Production Co.